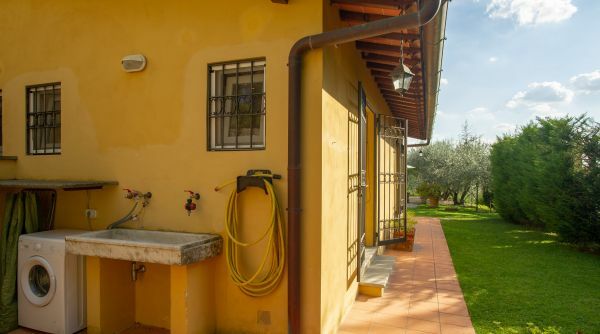 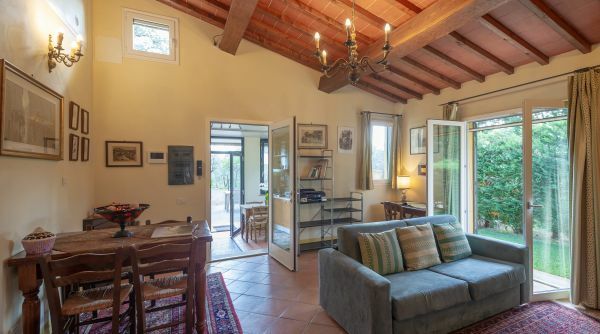 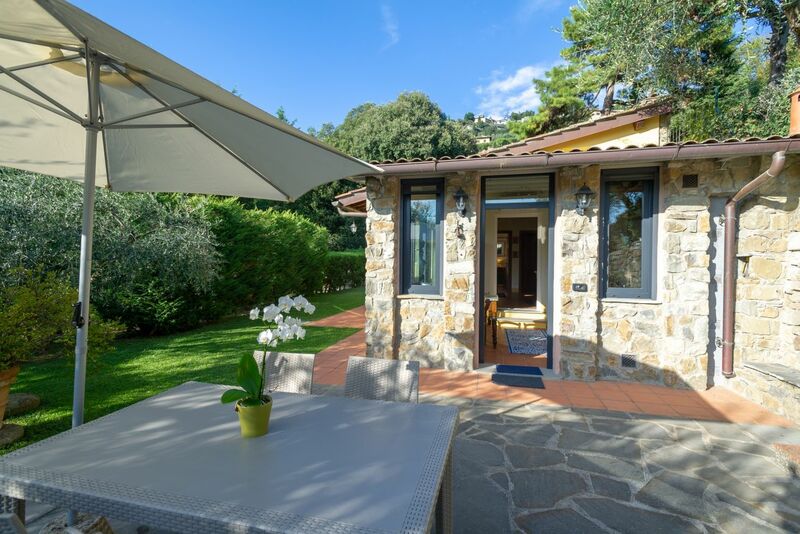 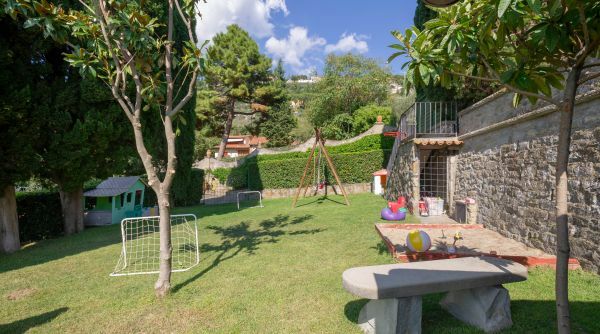 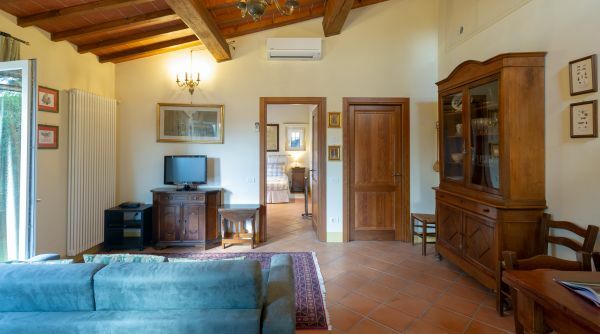 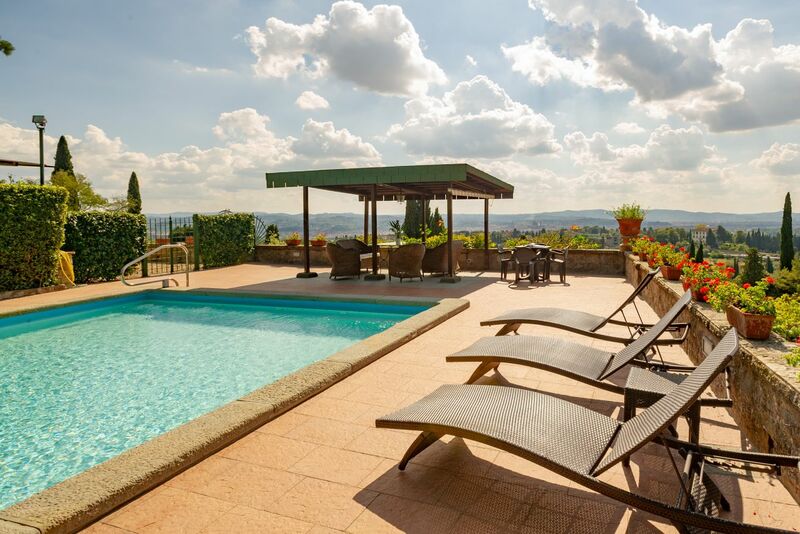 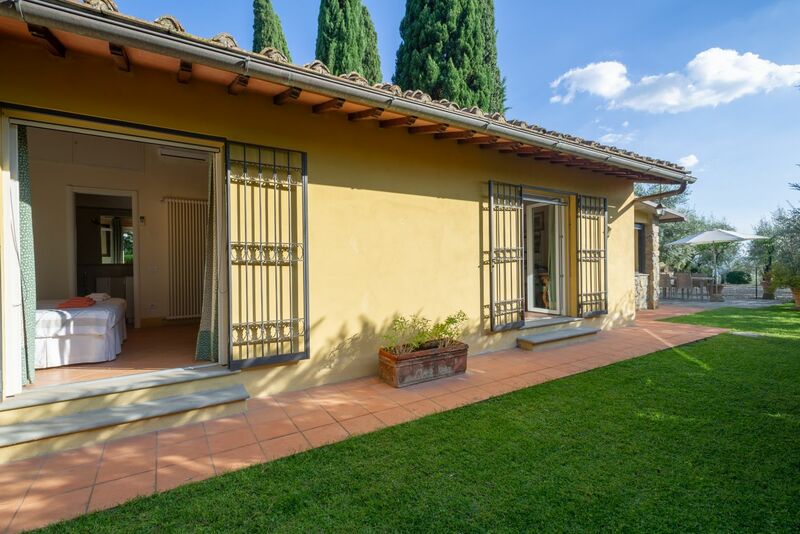 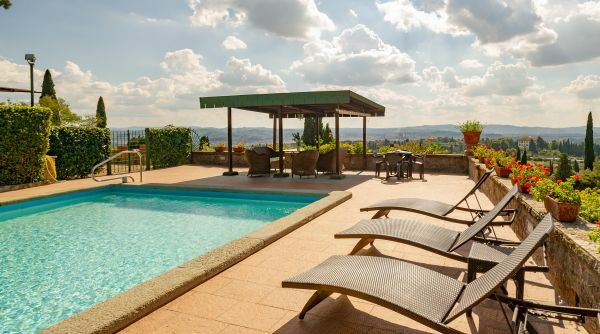 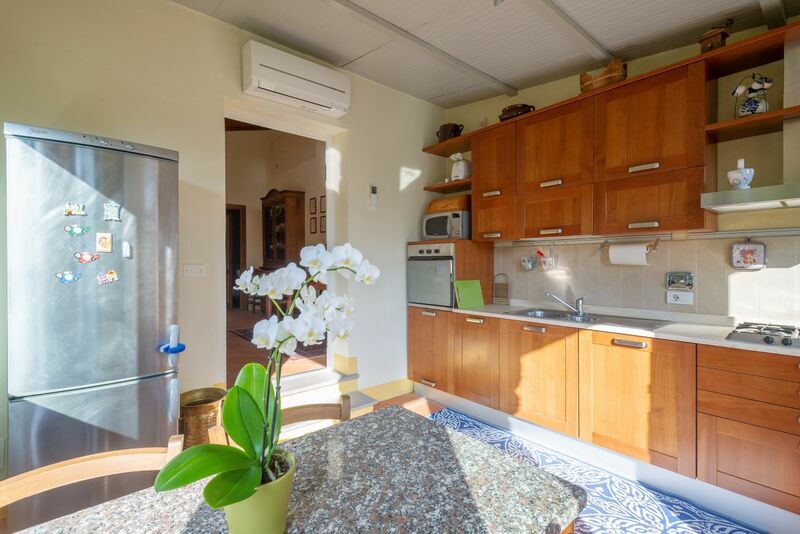 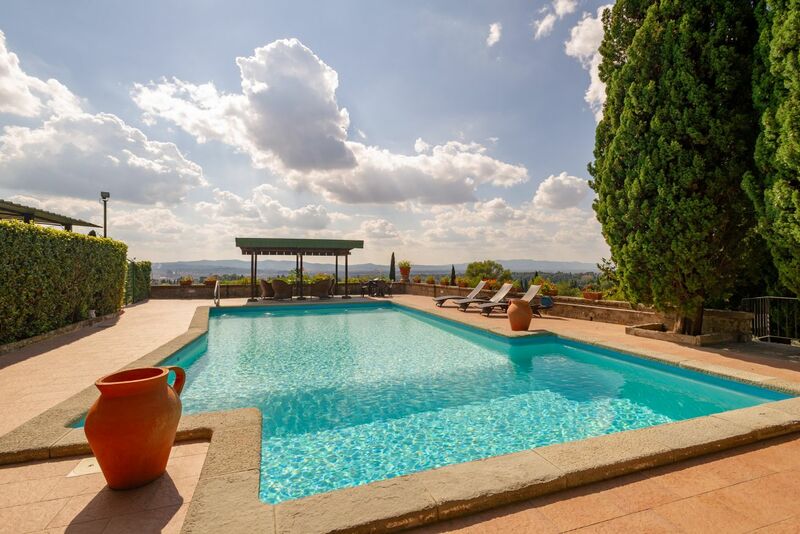 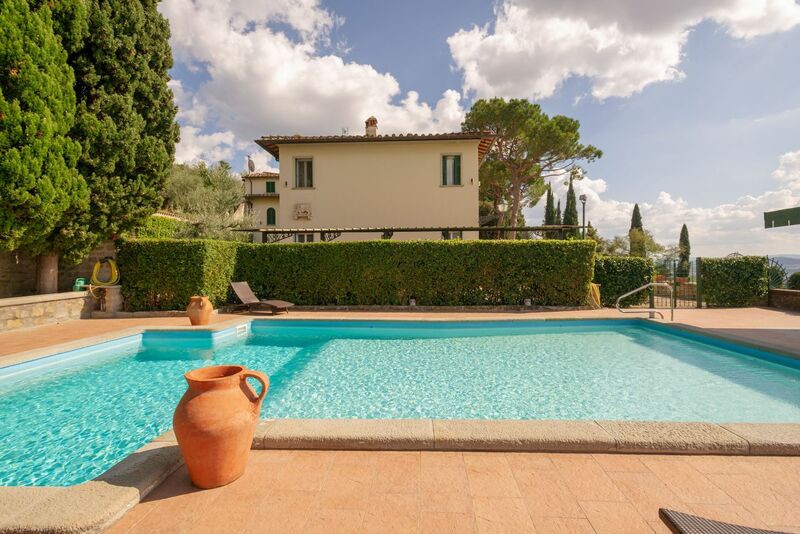 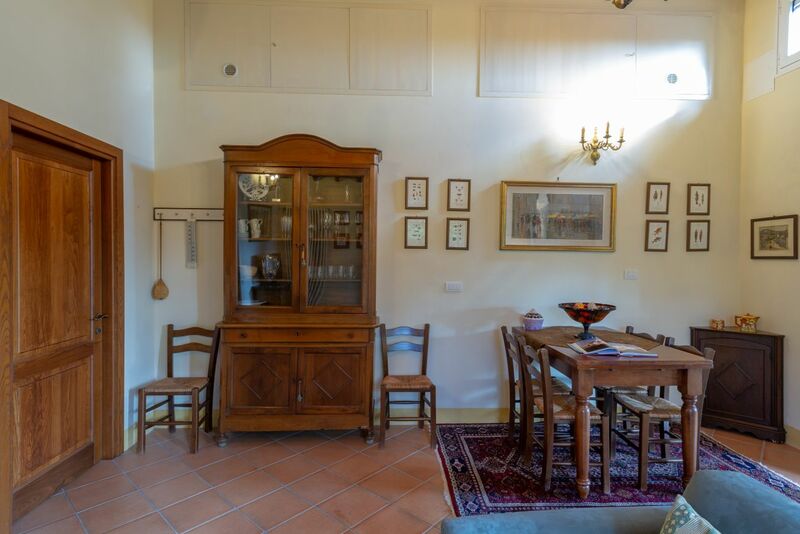 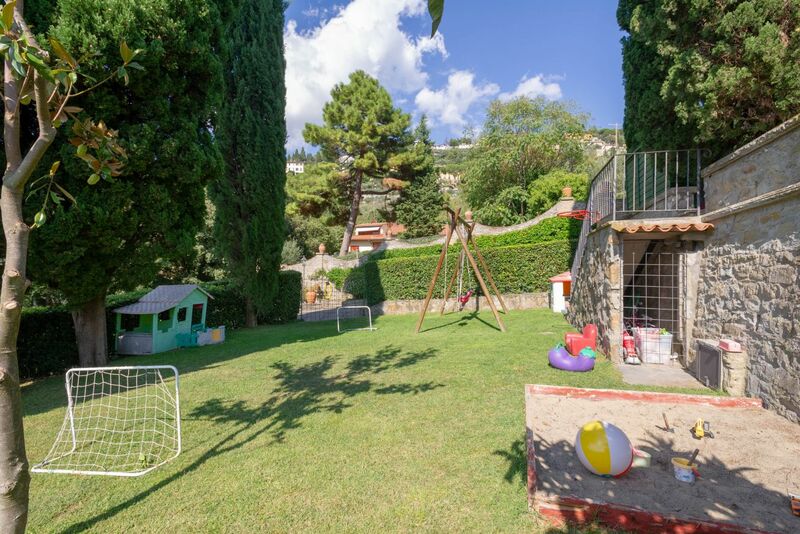 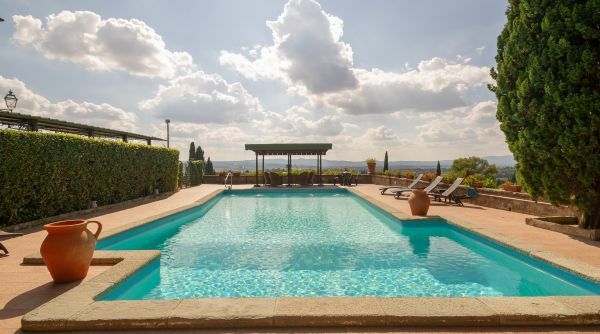 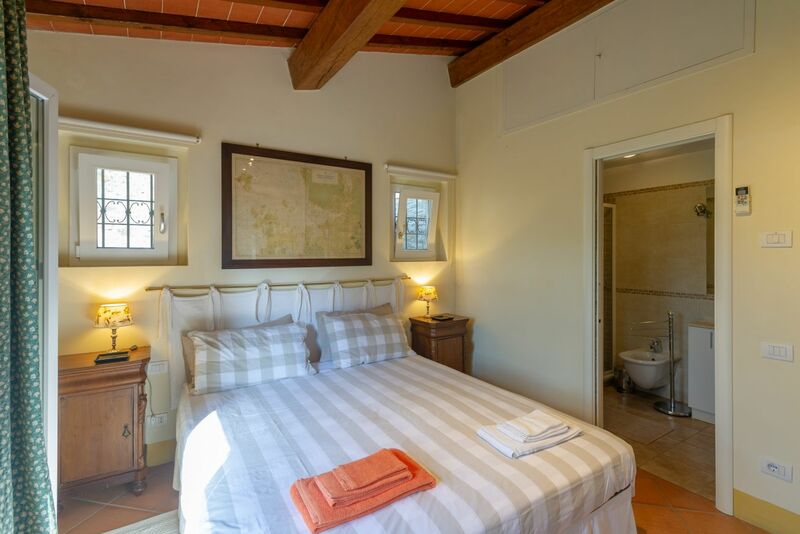 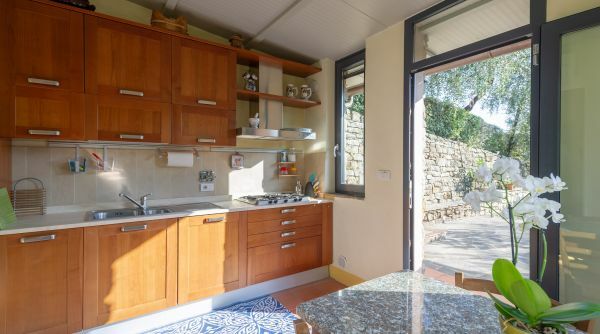 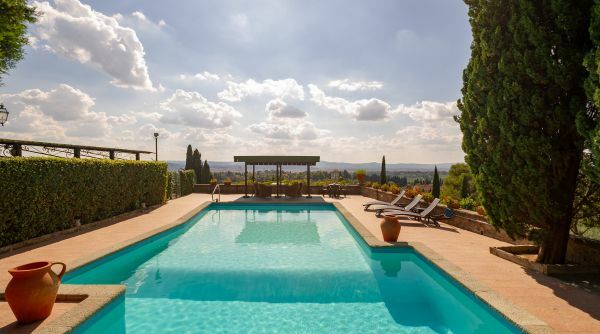 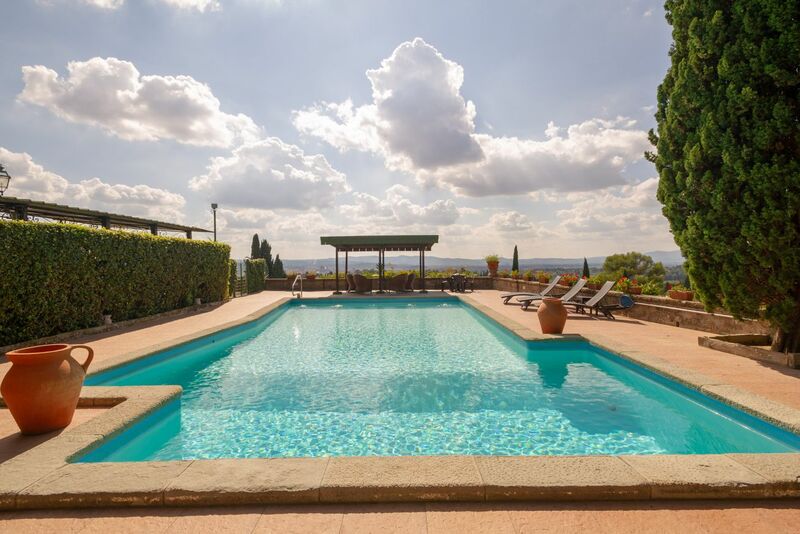 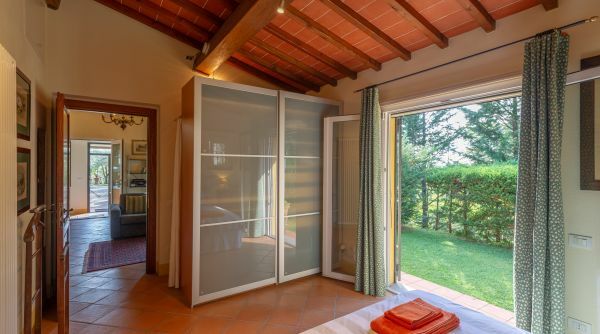 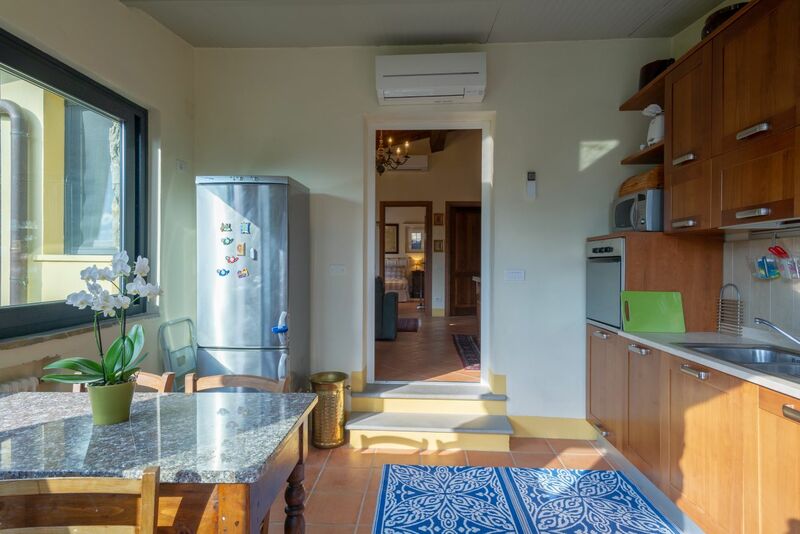 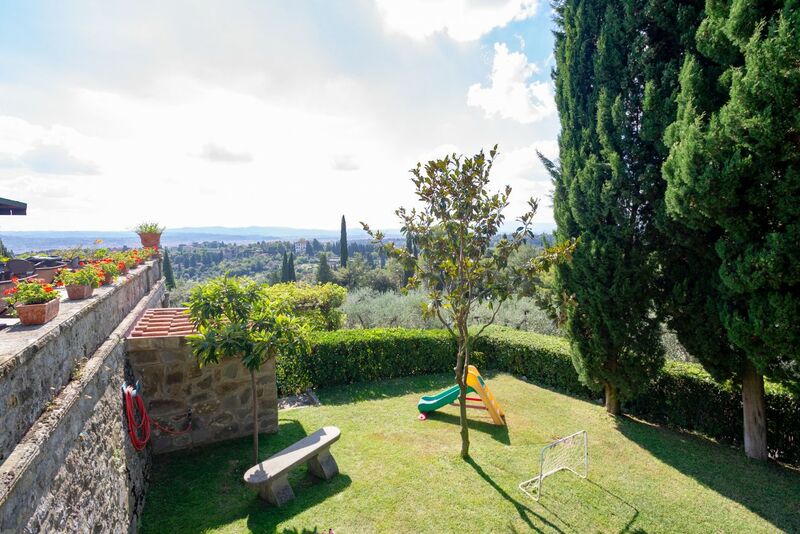 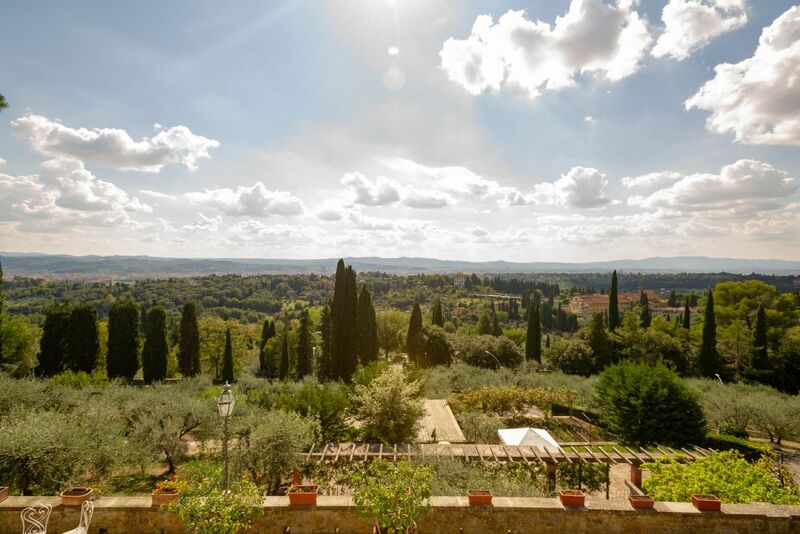 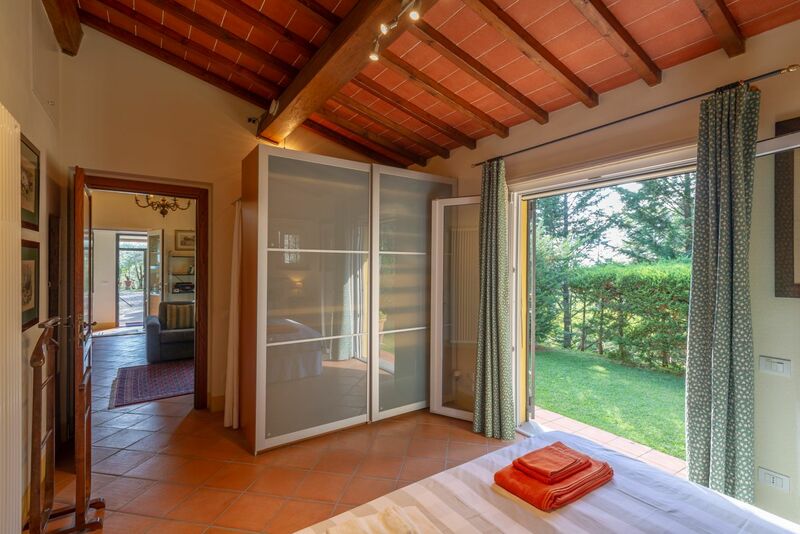 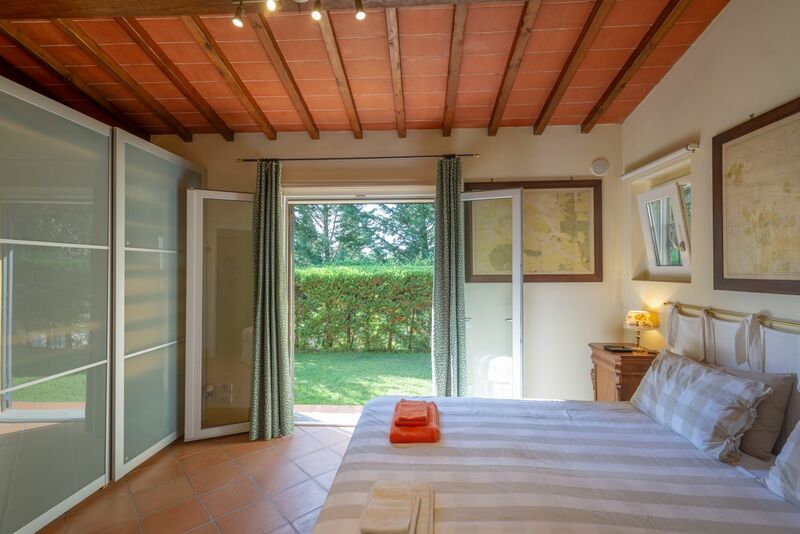 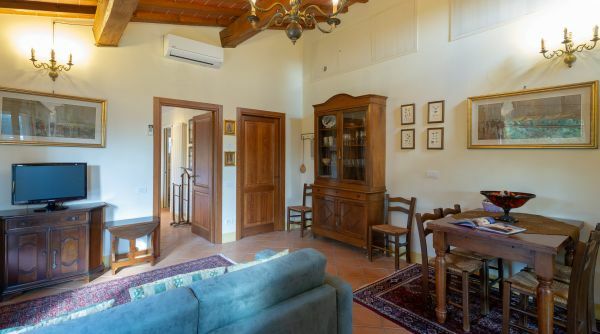 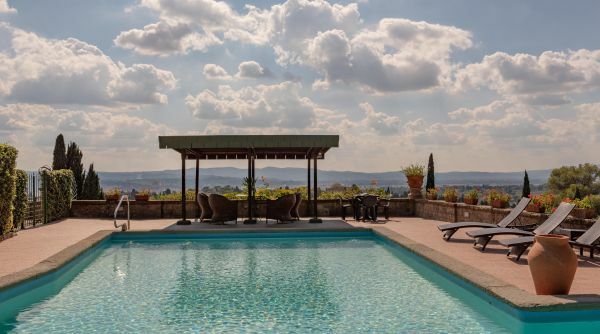 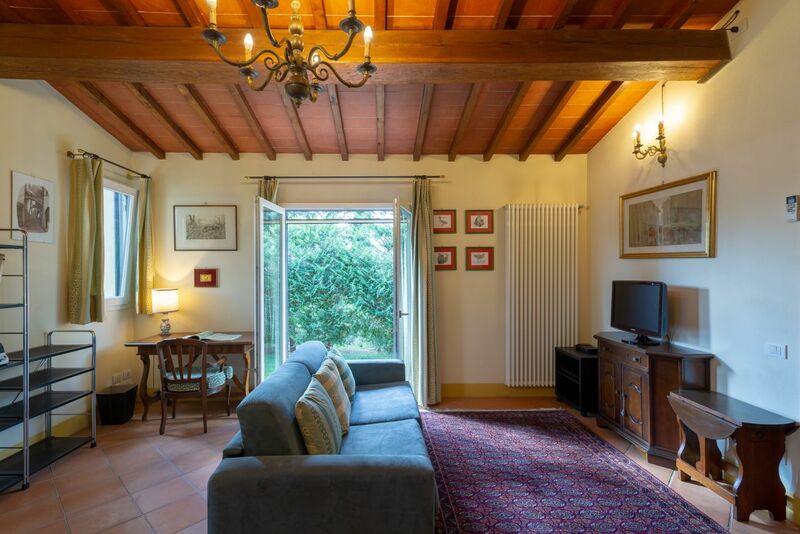 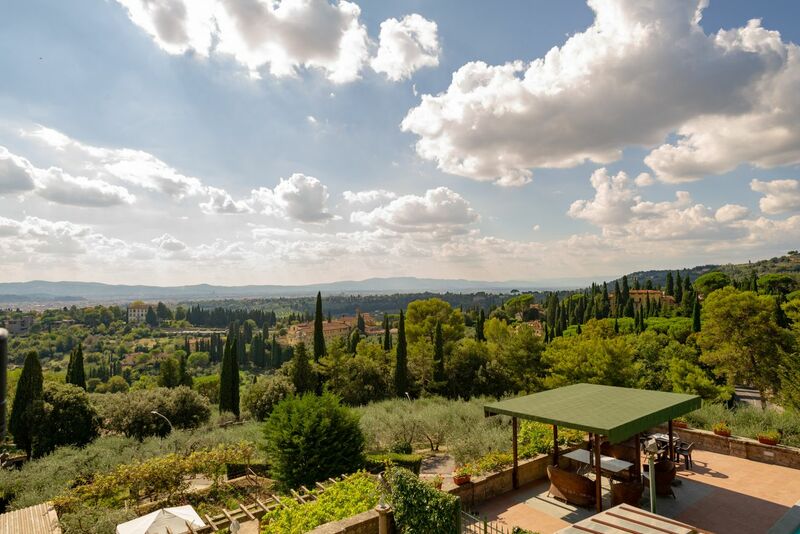 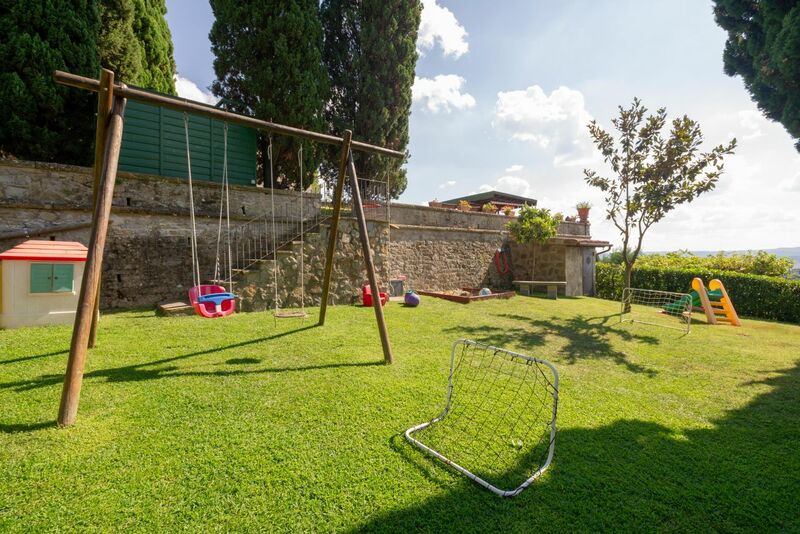 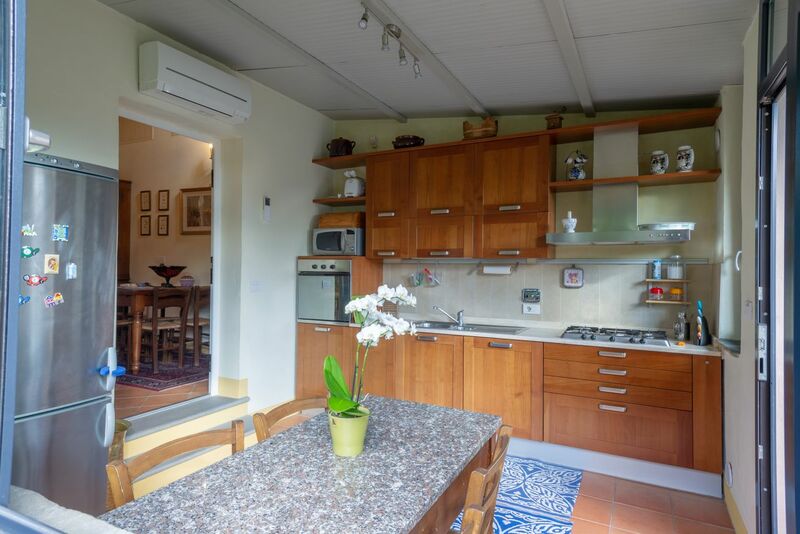 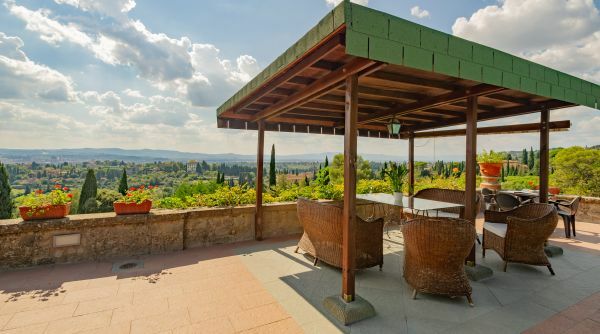 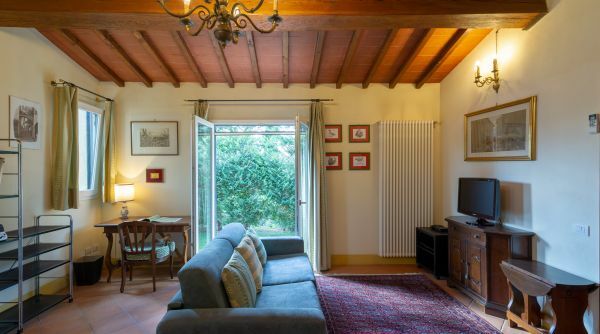 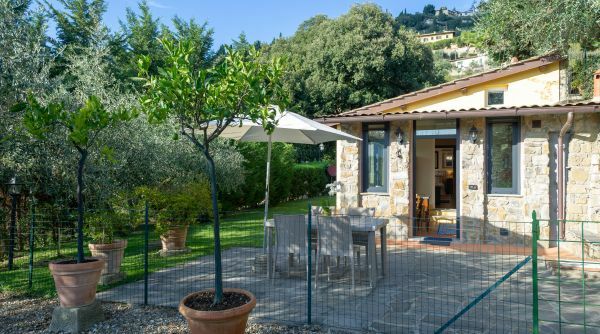 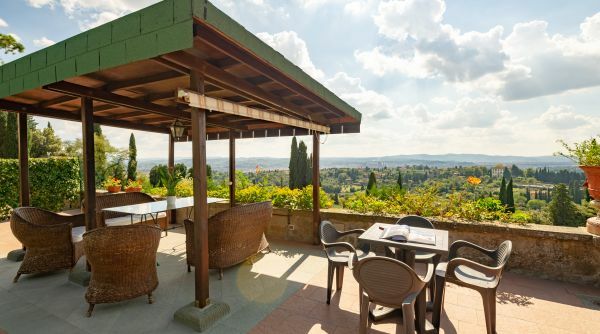 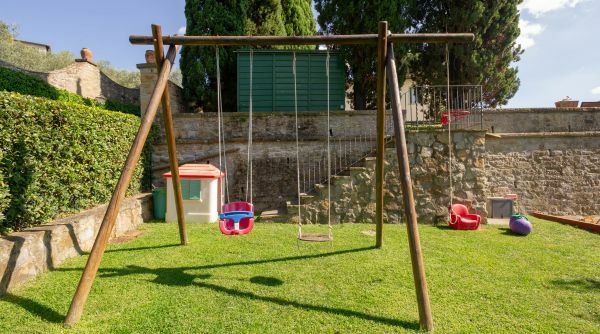 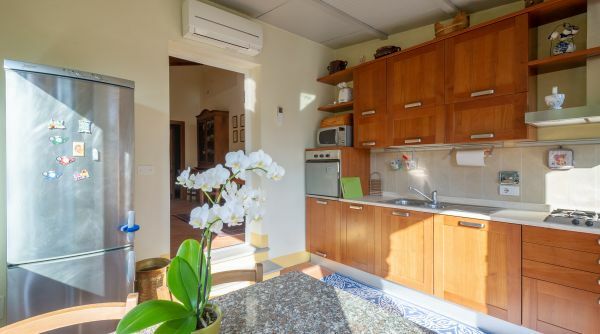 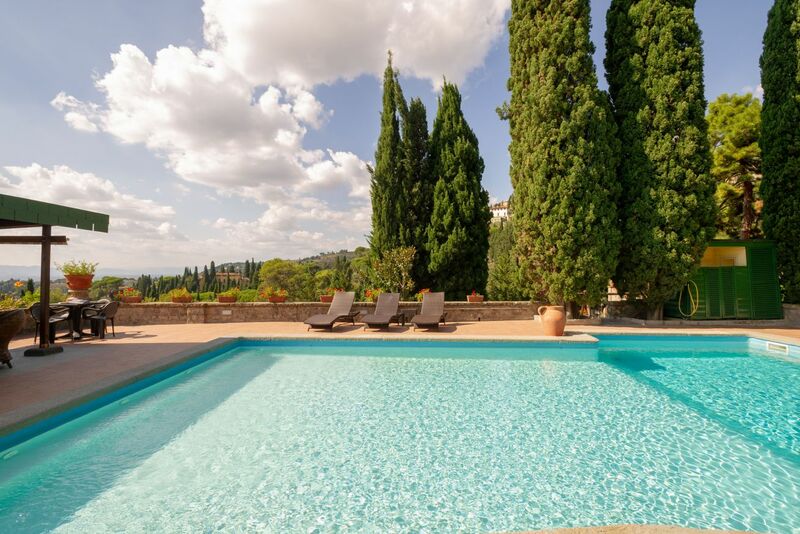 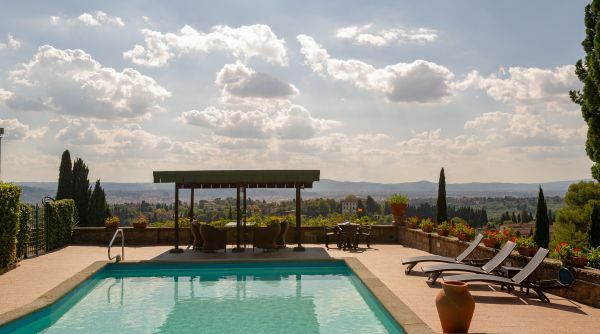 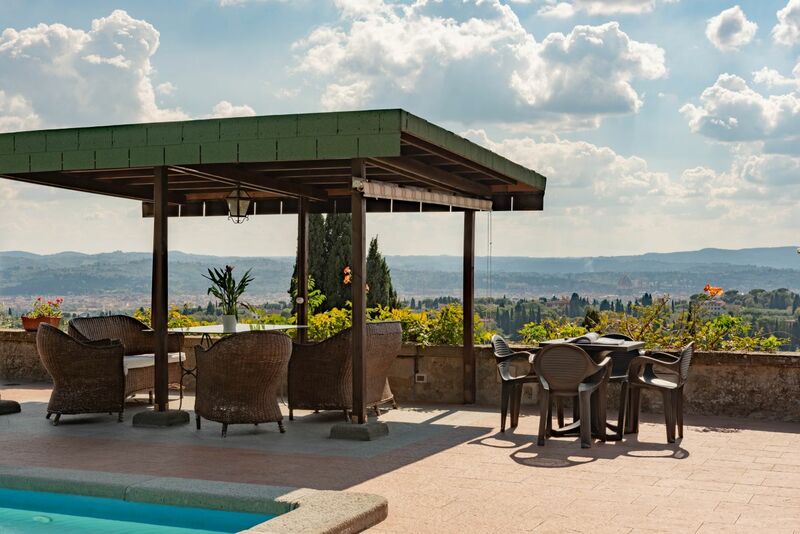 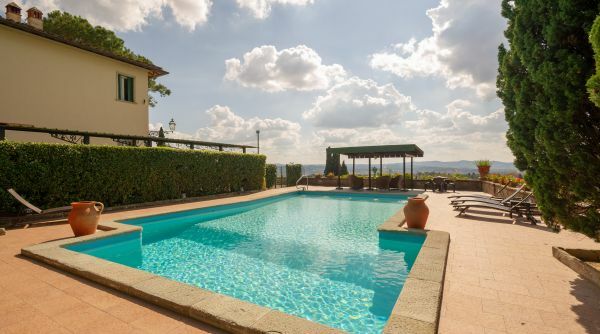 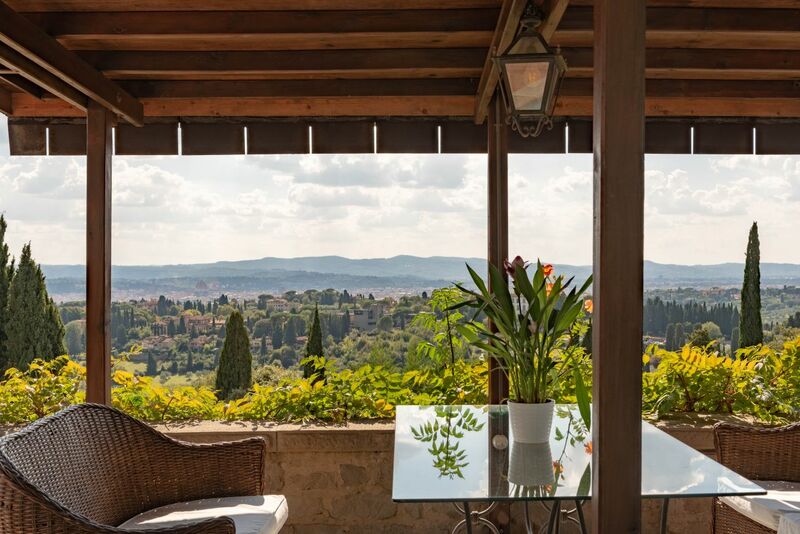 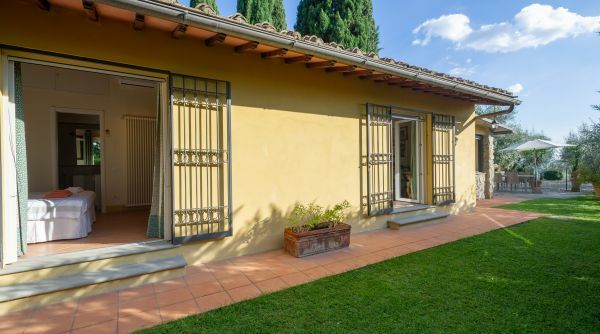 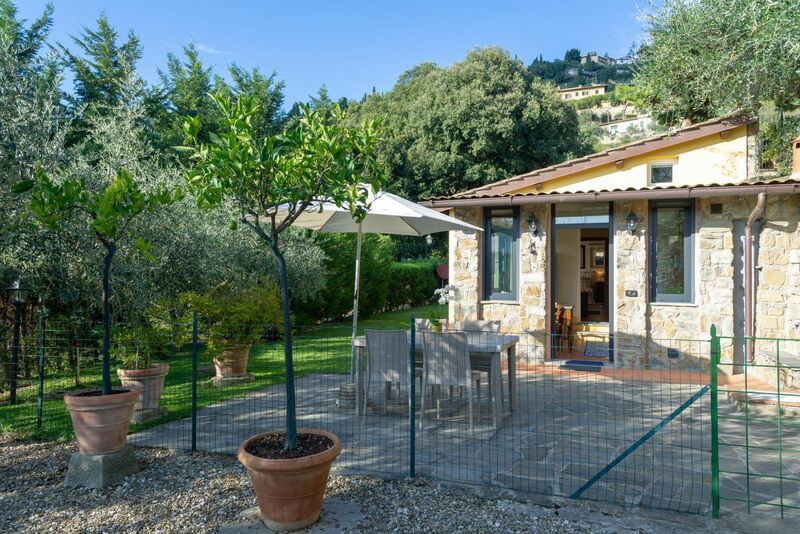 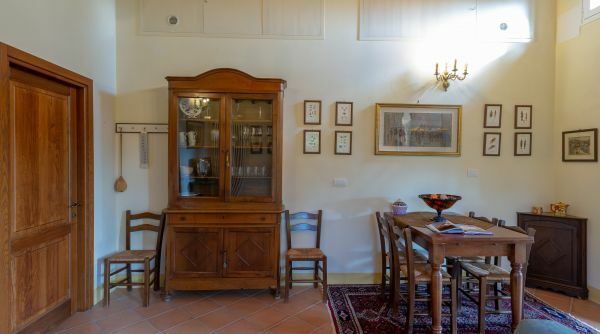 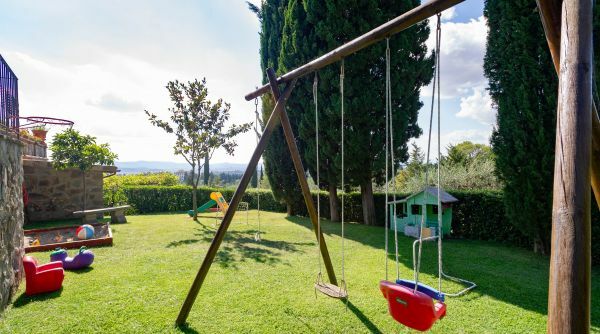 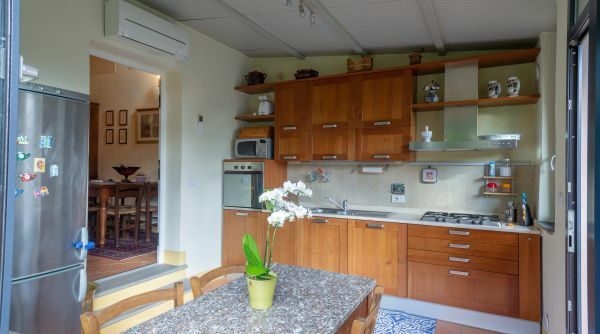 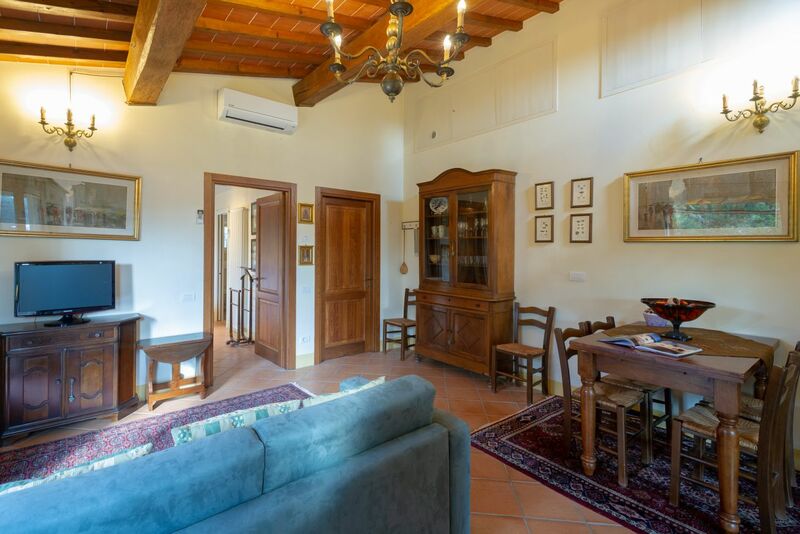 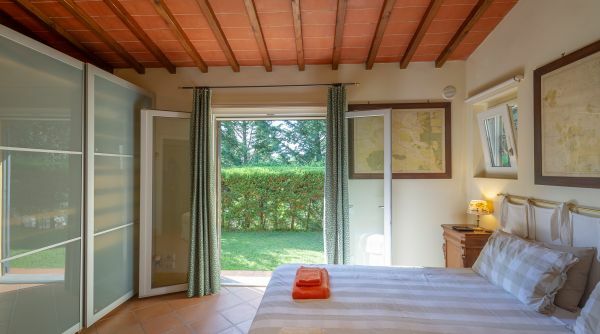 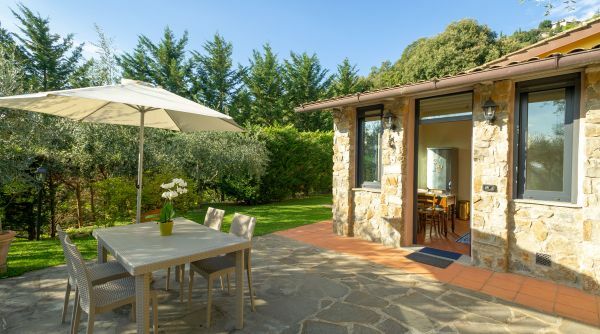 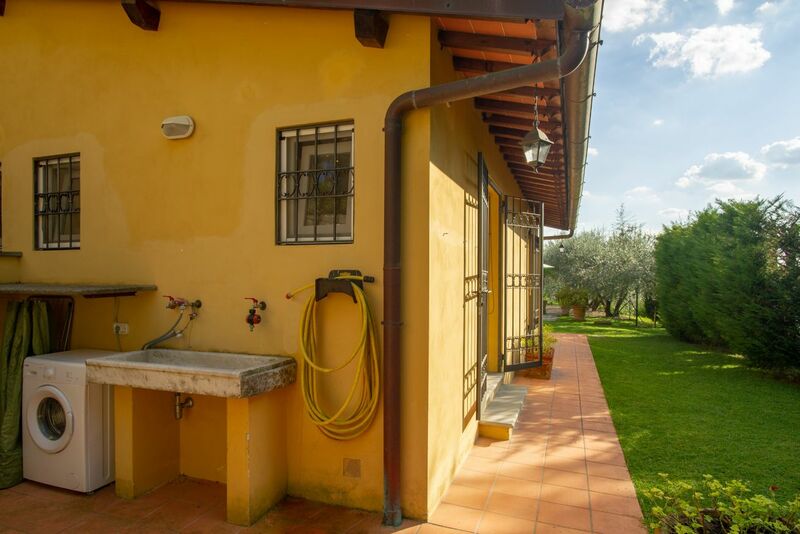 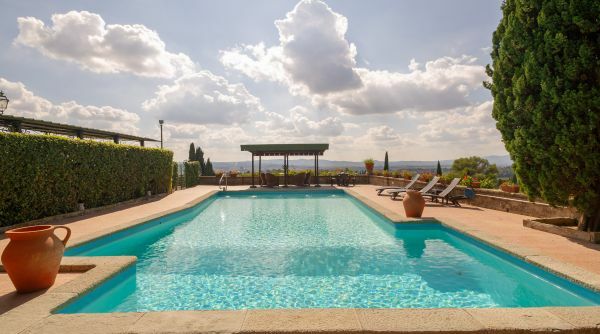 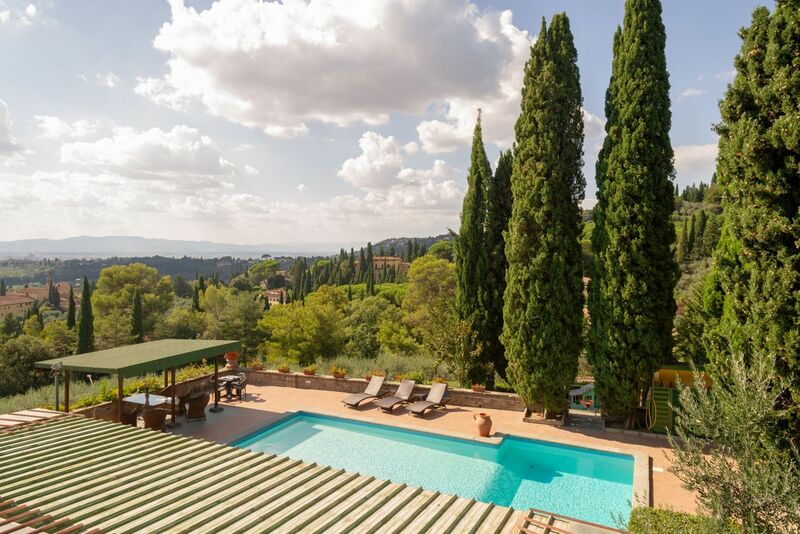 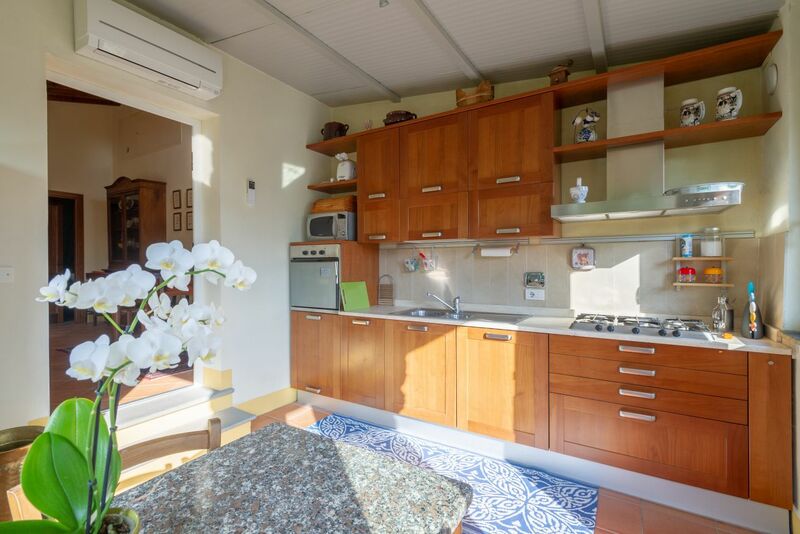 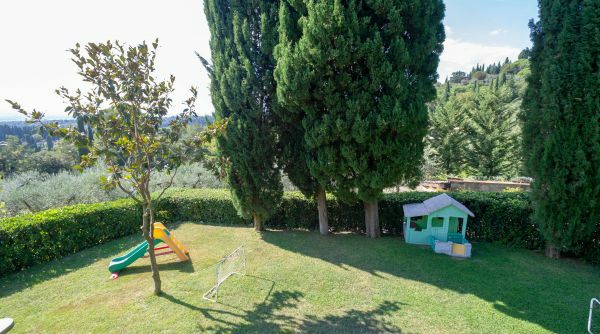 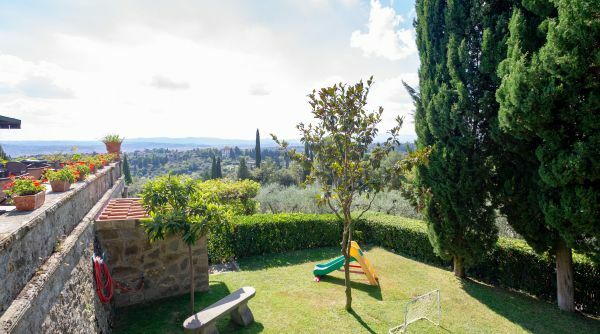 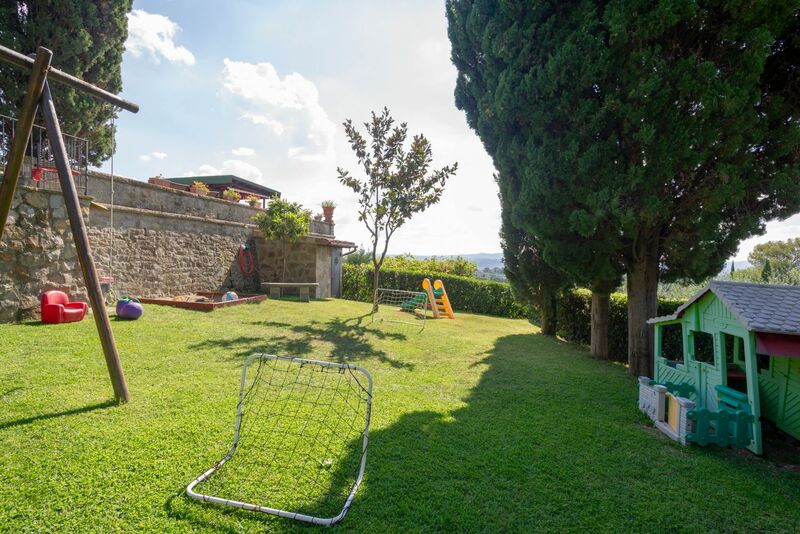 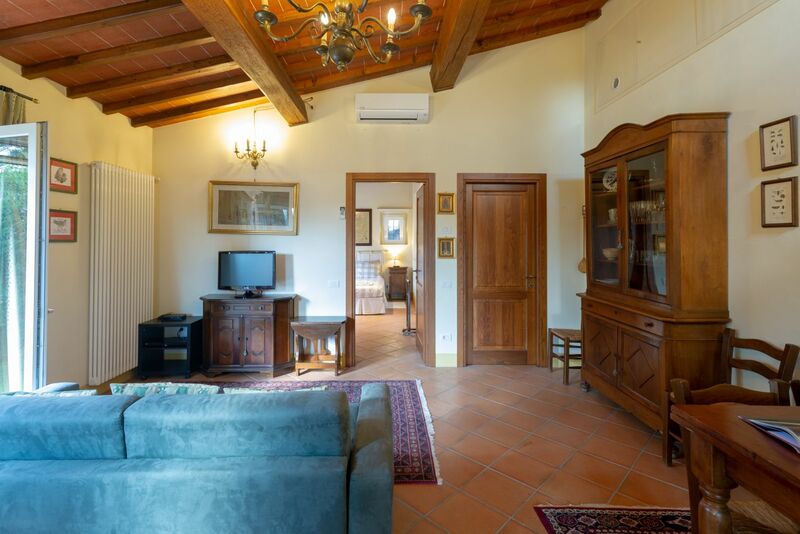 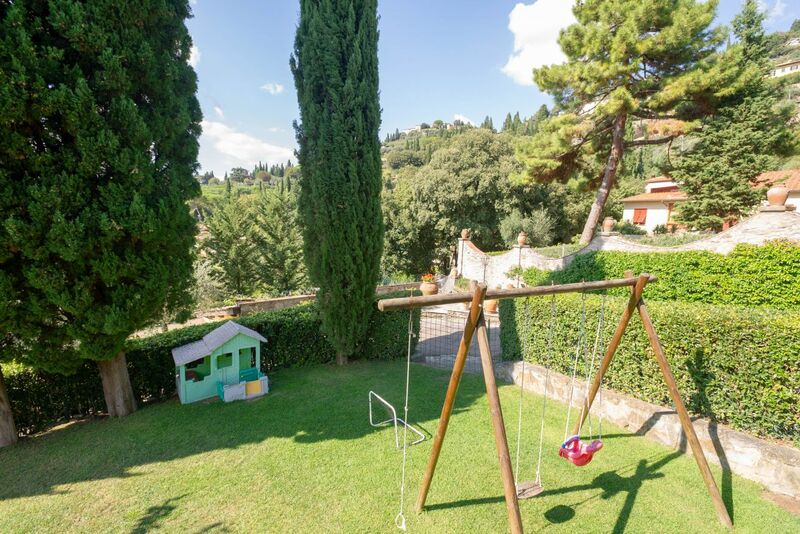 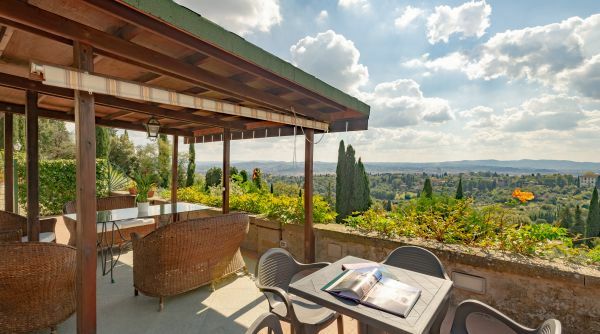 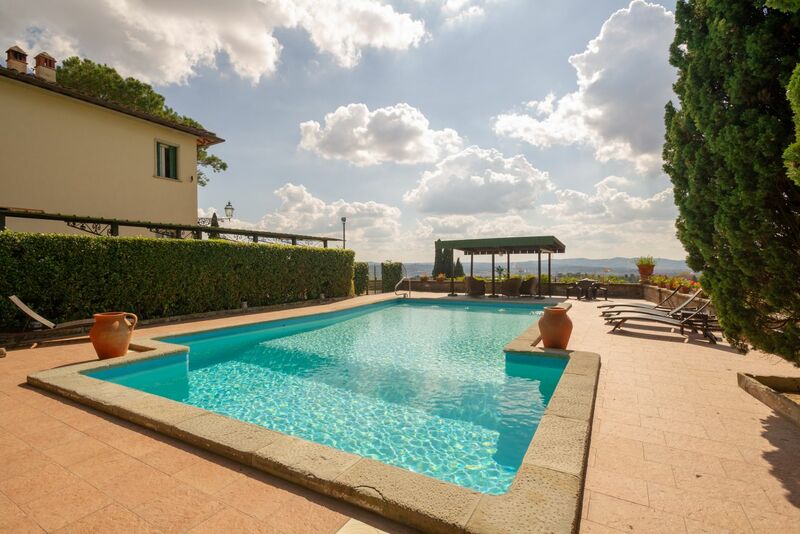 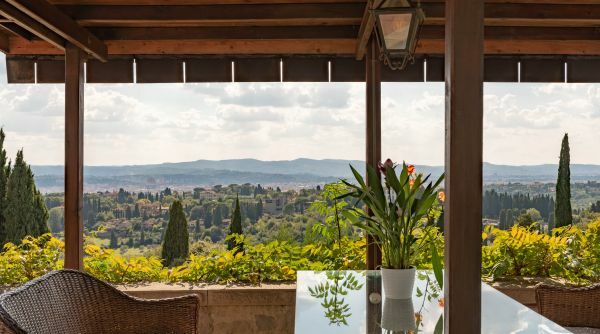 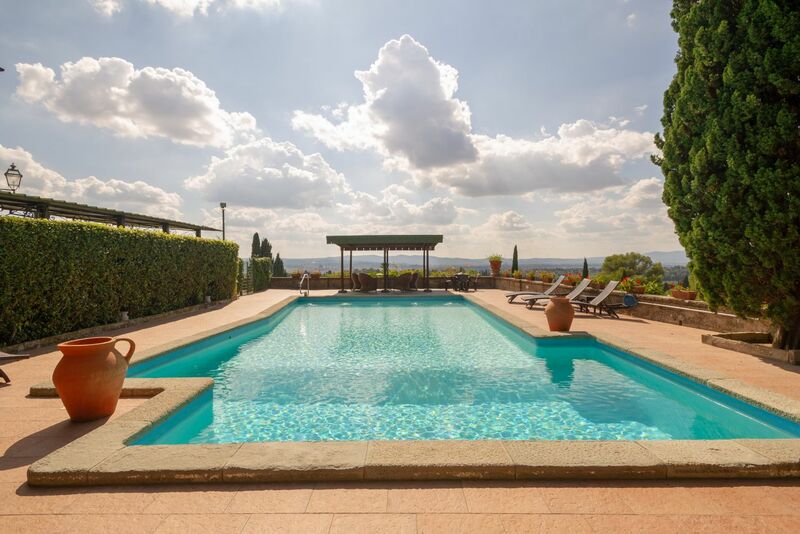 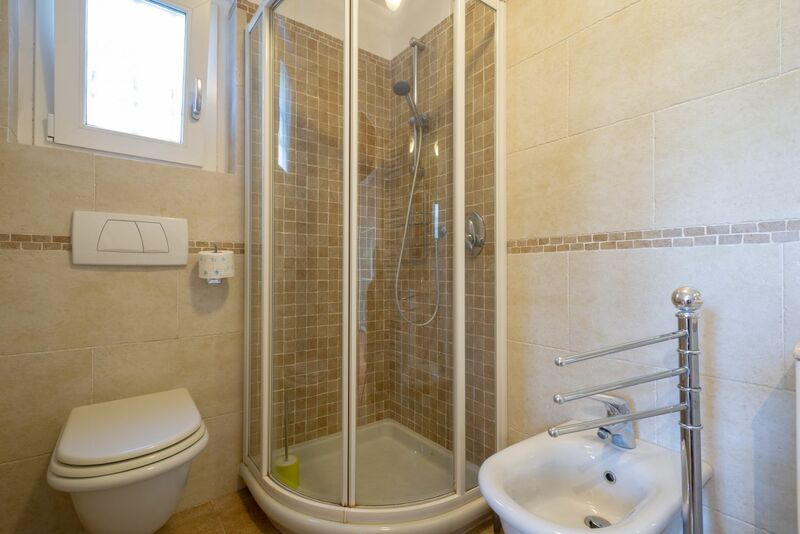 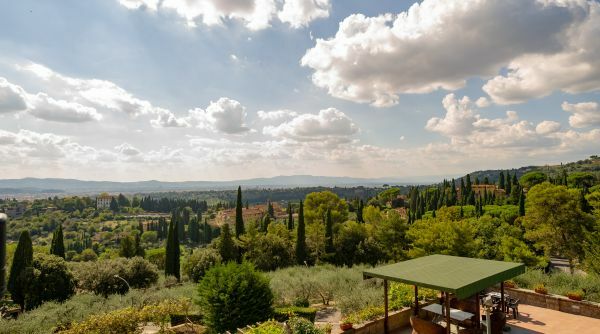 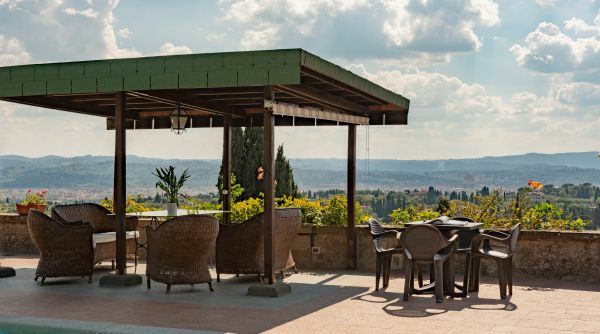 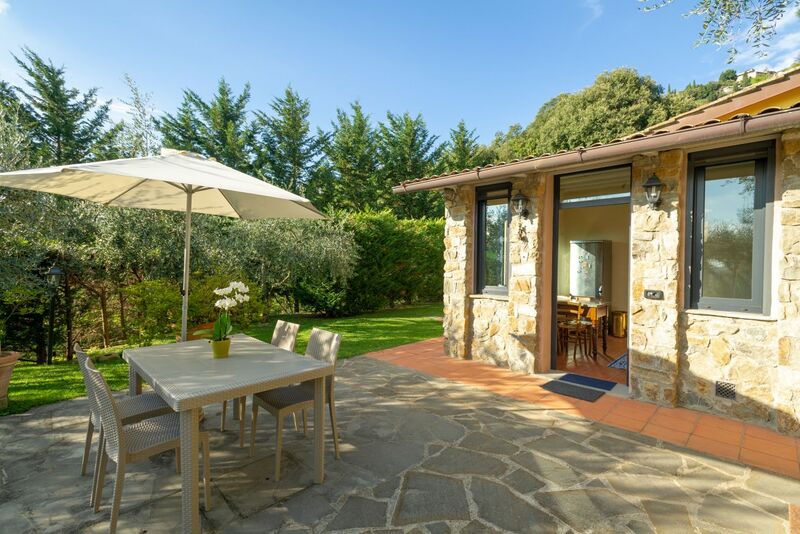 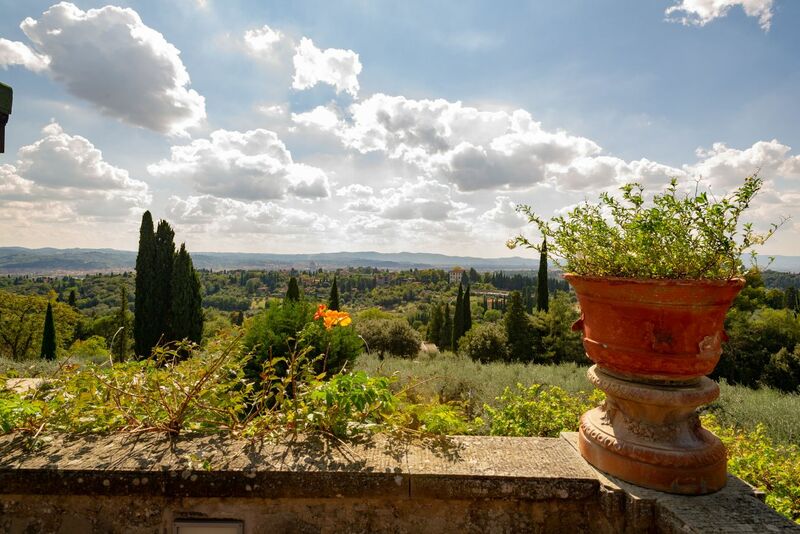 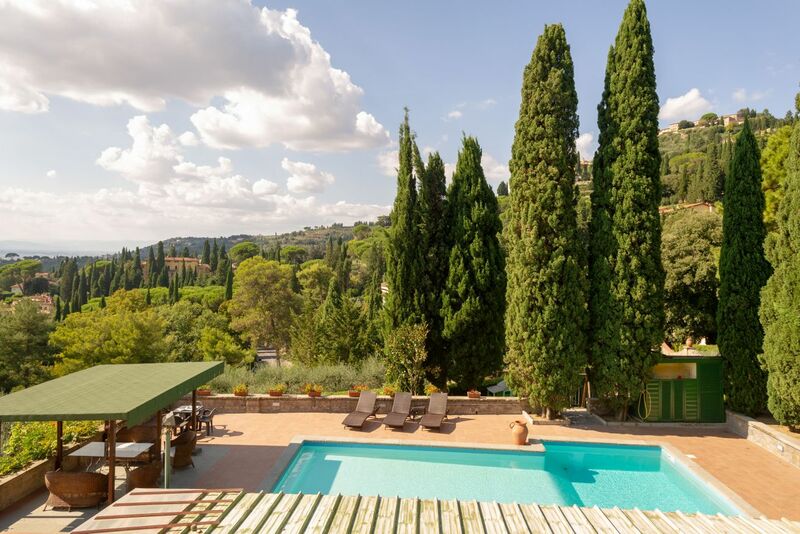 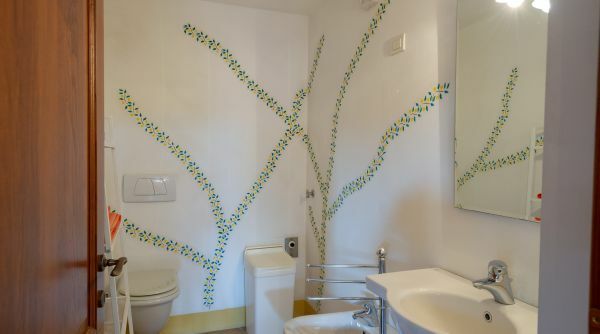 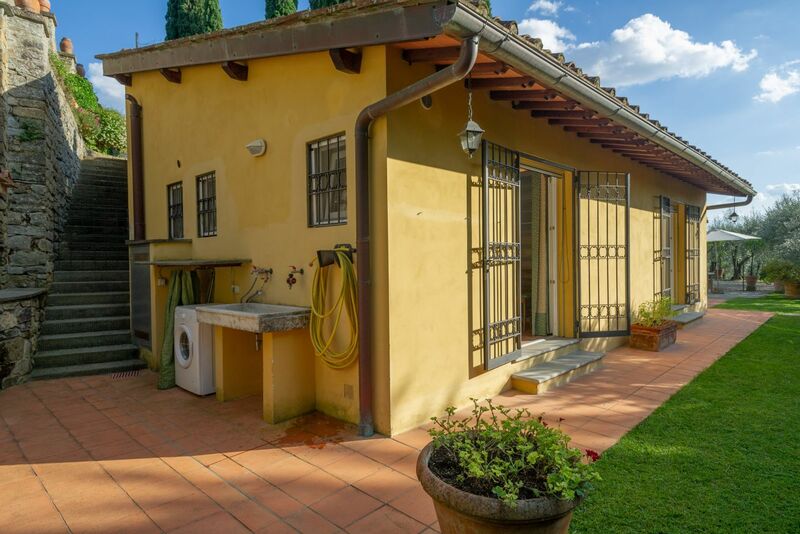 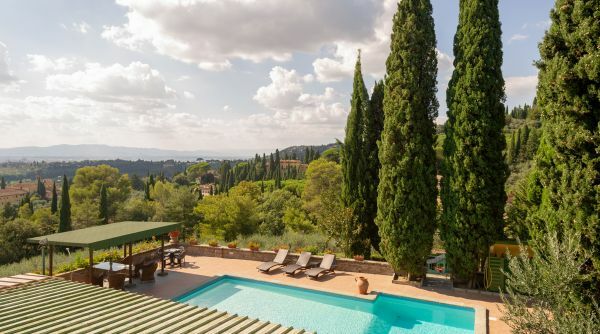 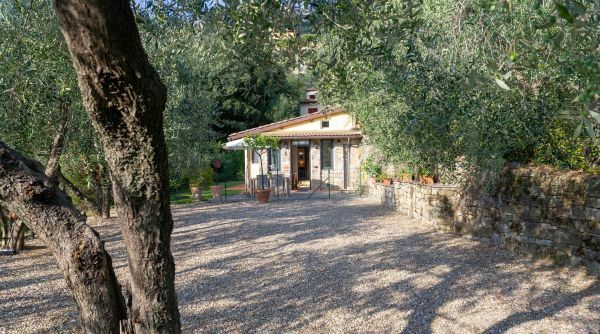 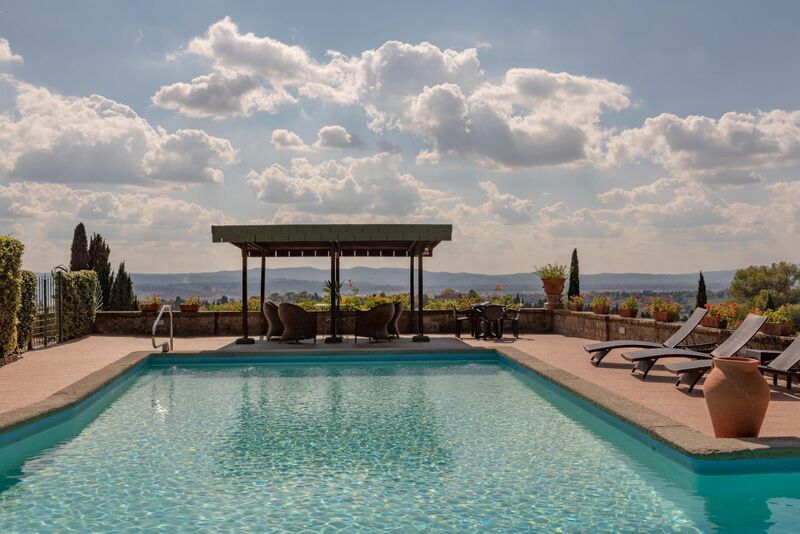 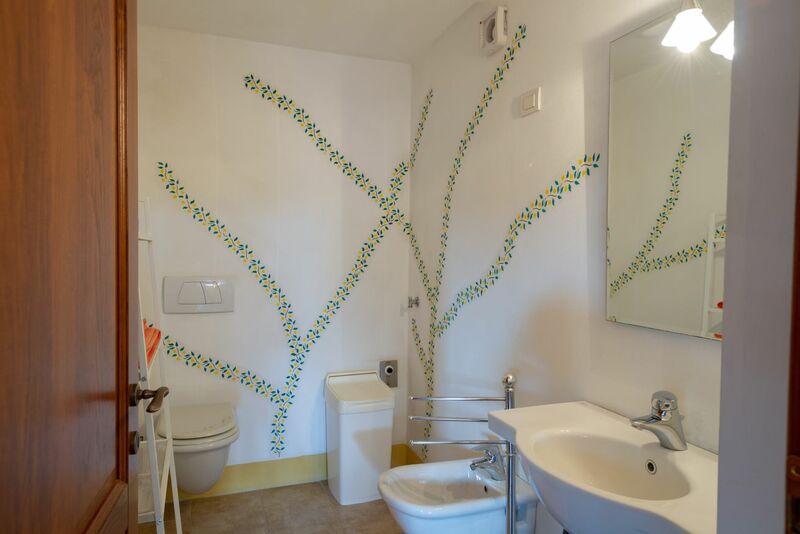 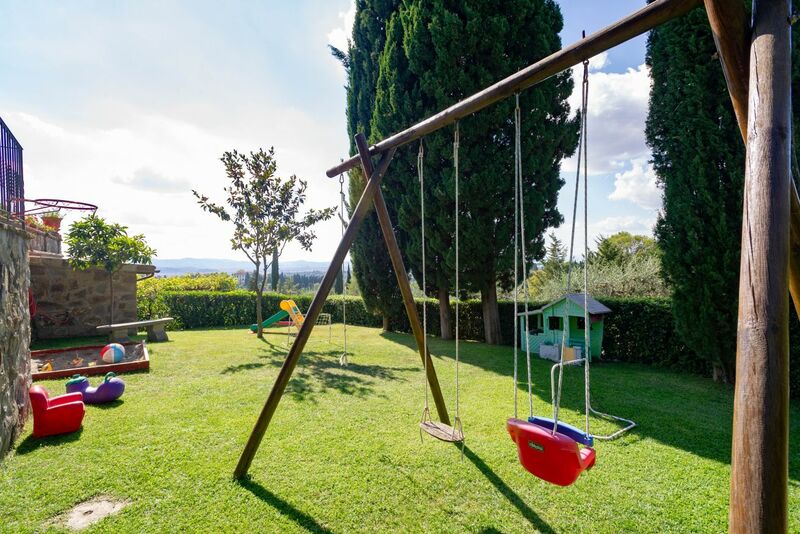 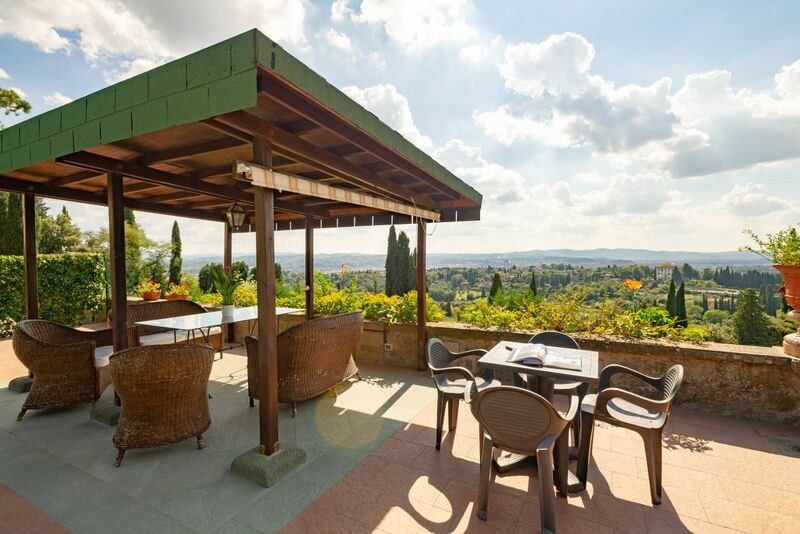 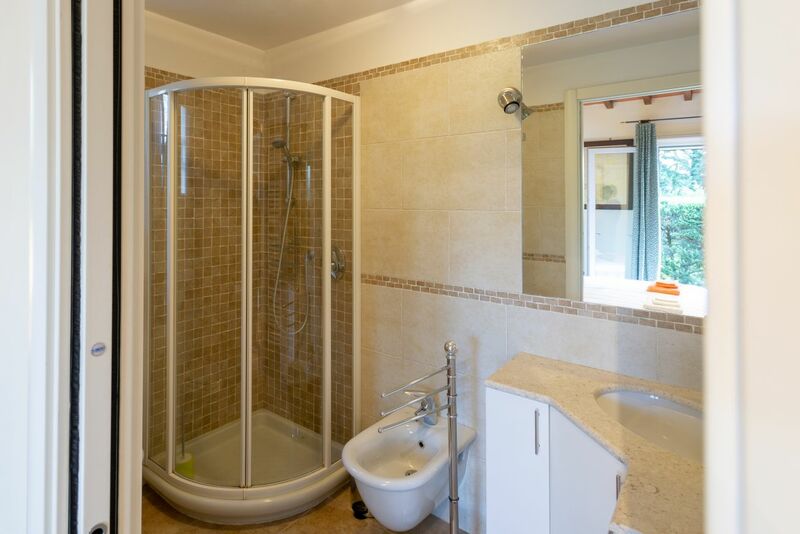 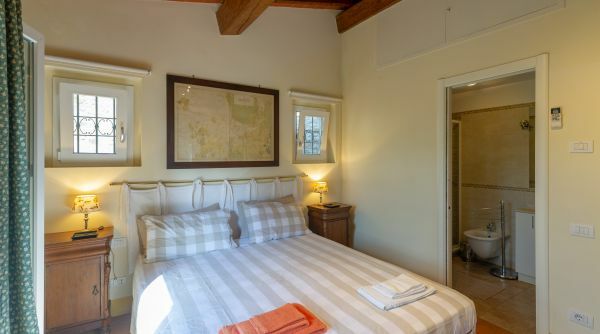 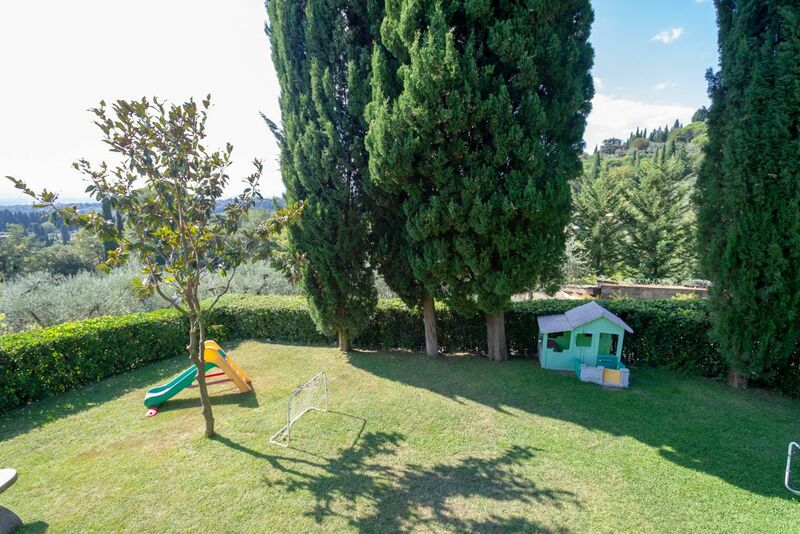 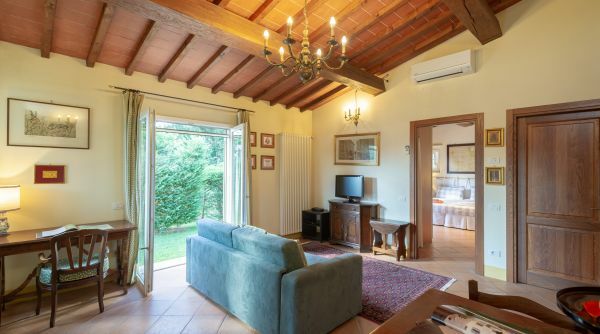 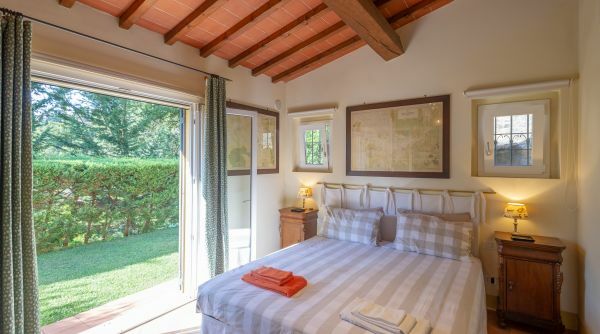 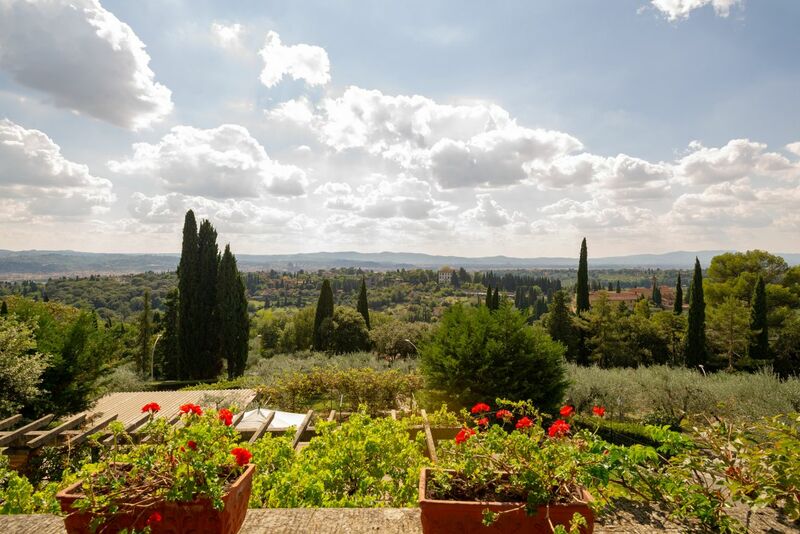 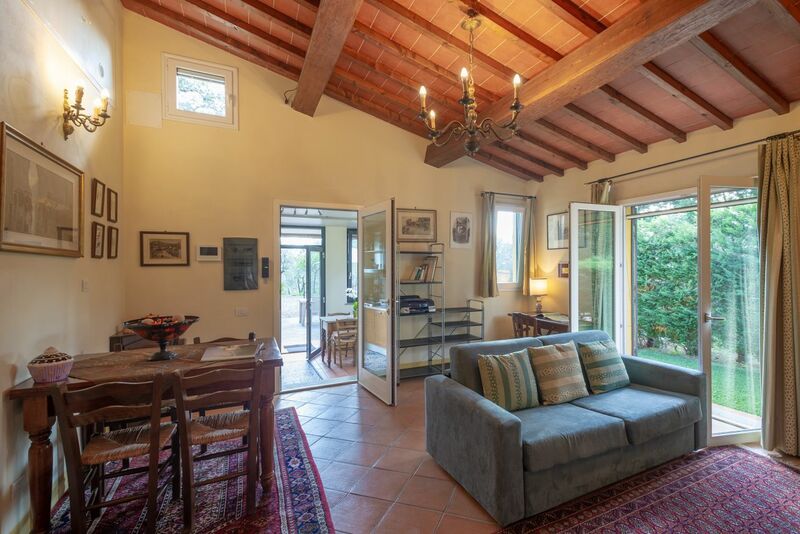 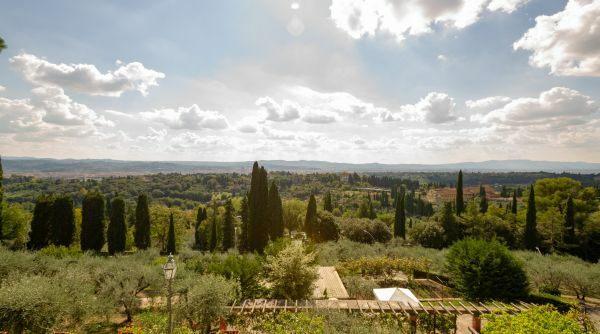 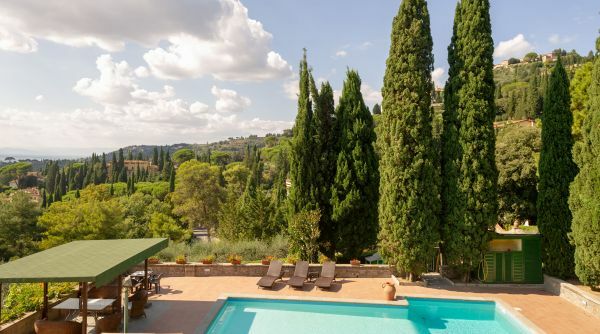 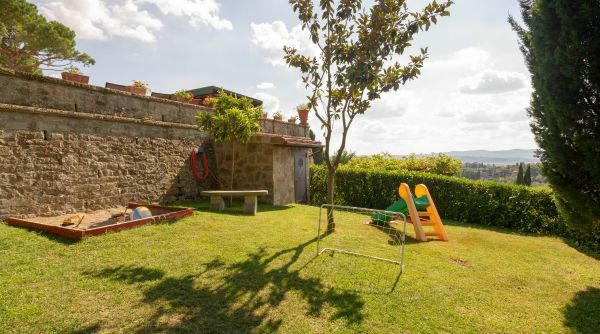 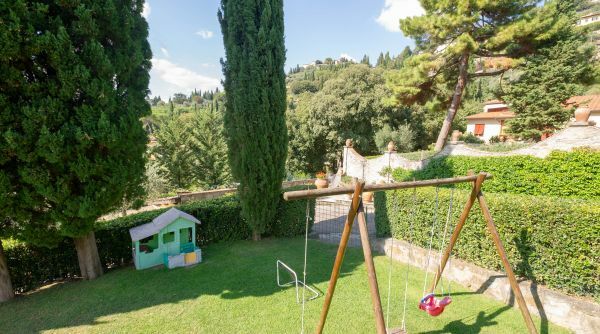 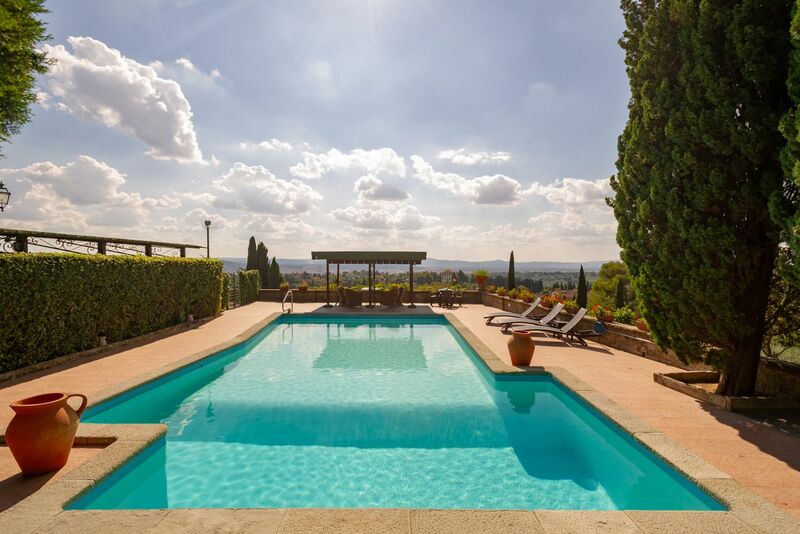 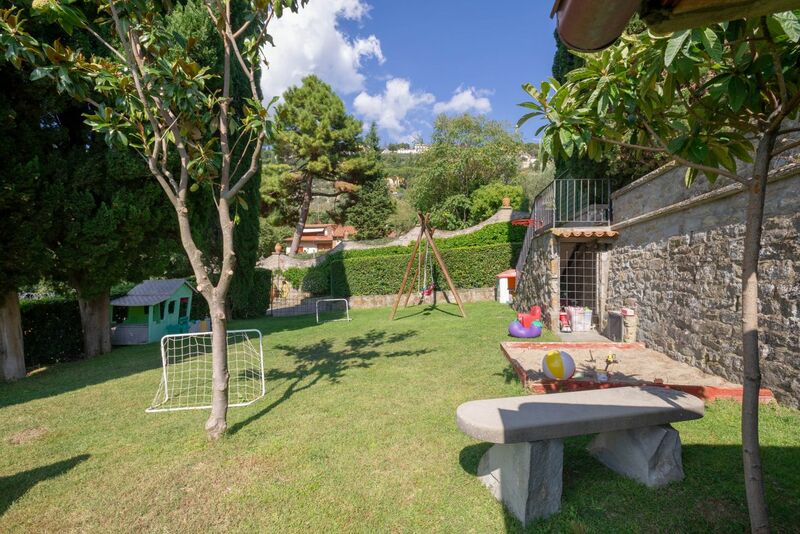 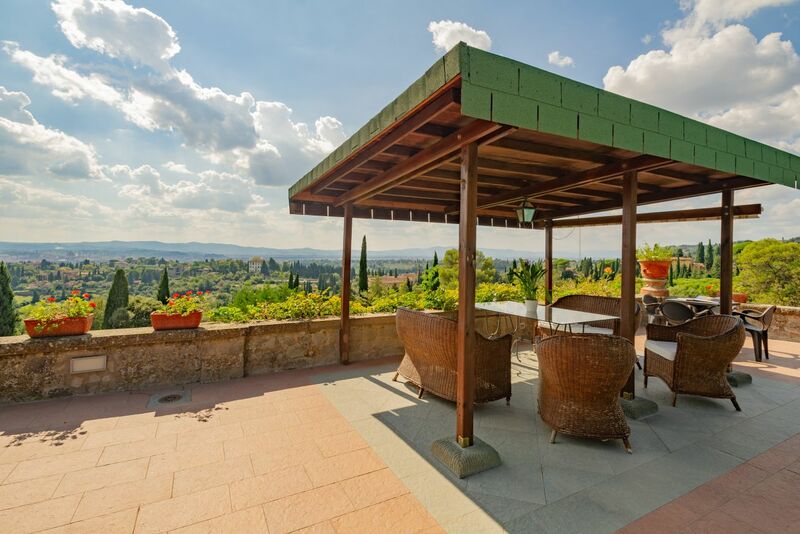 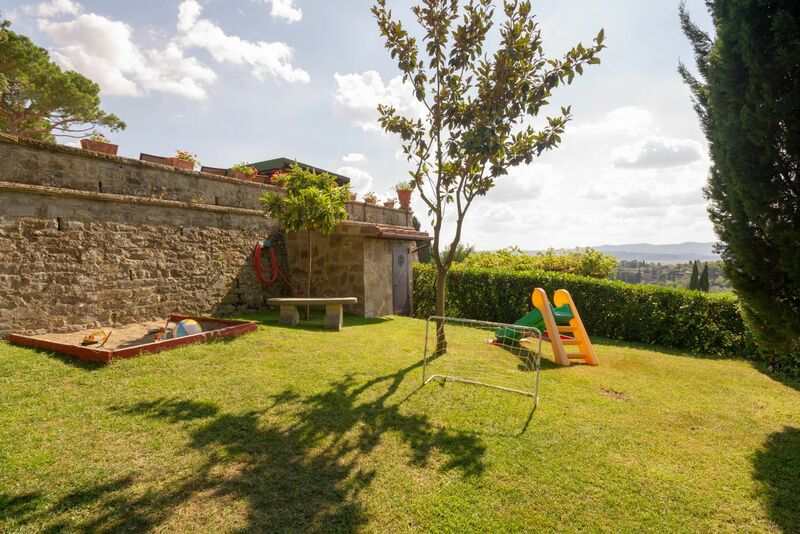 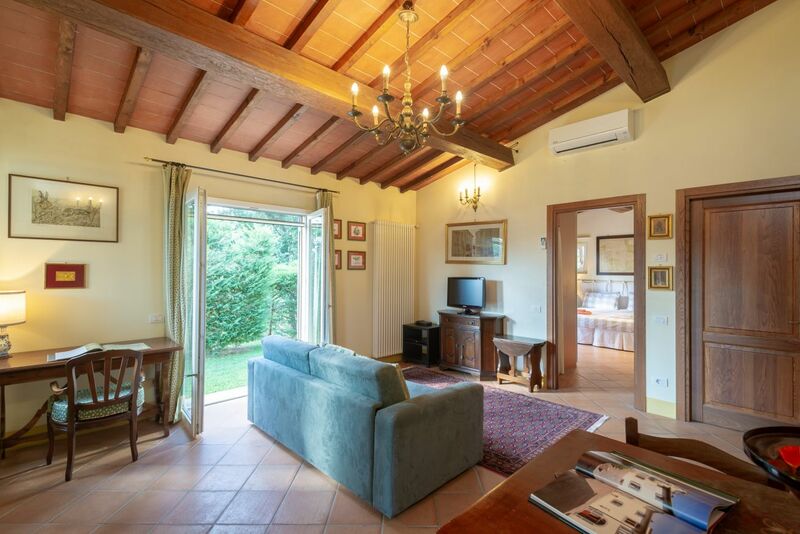 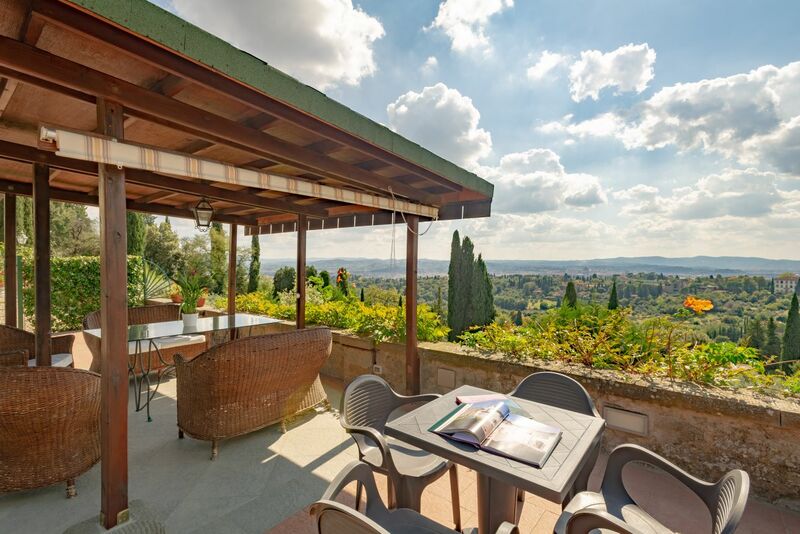 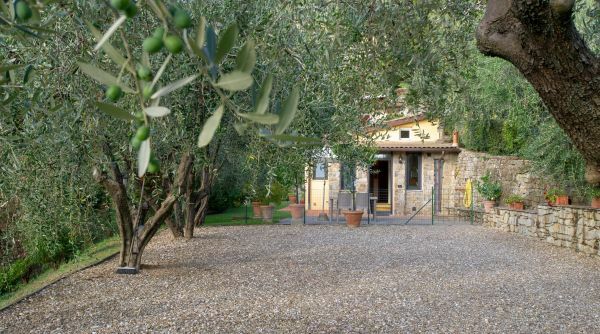 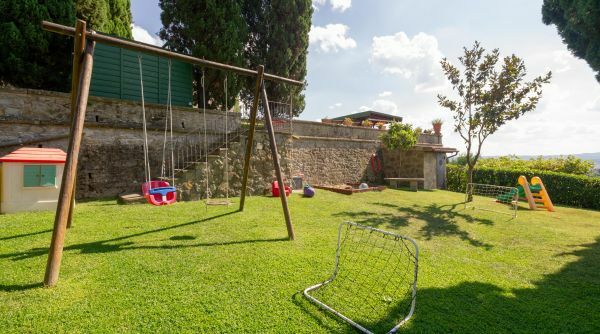 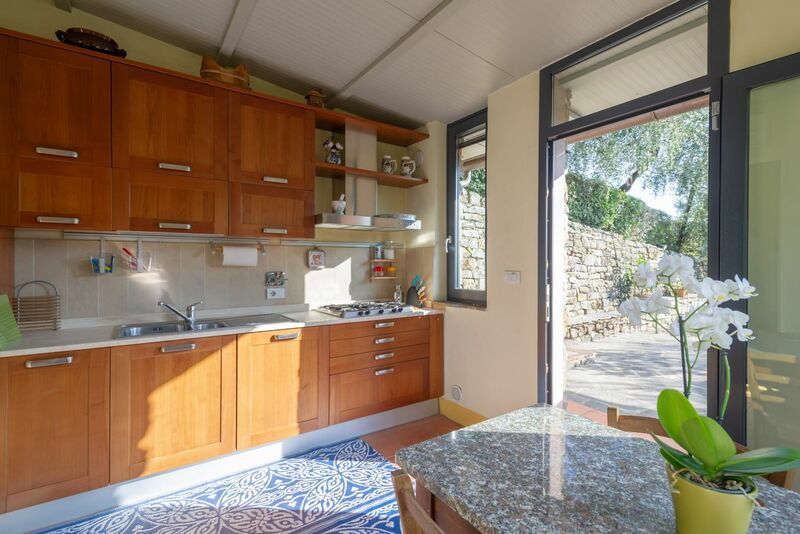 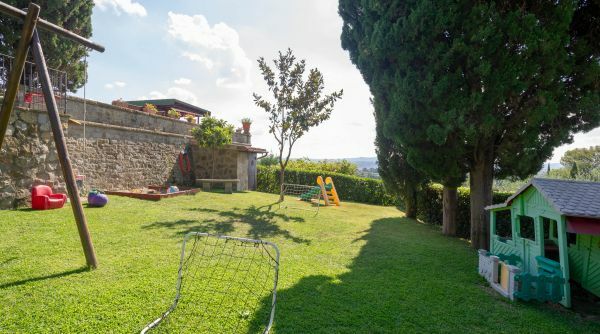 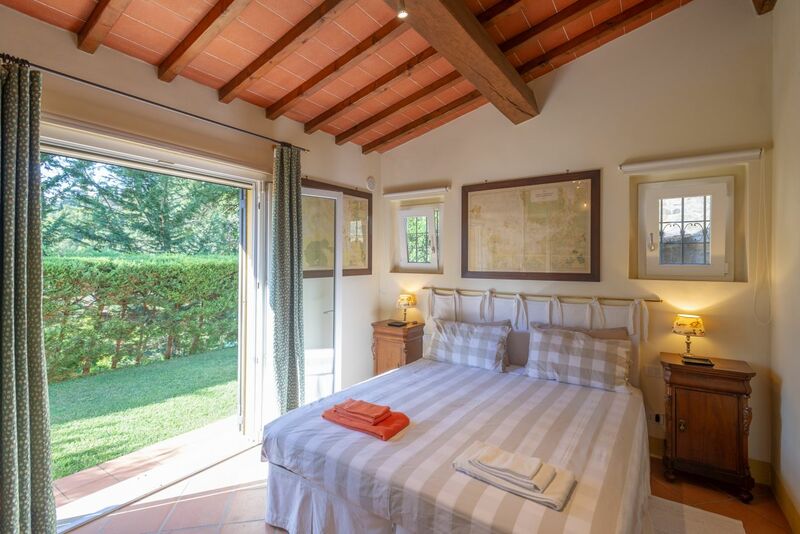 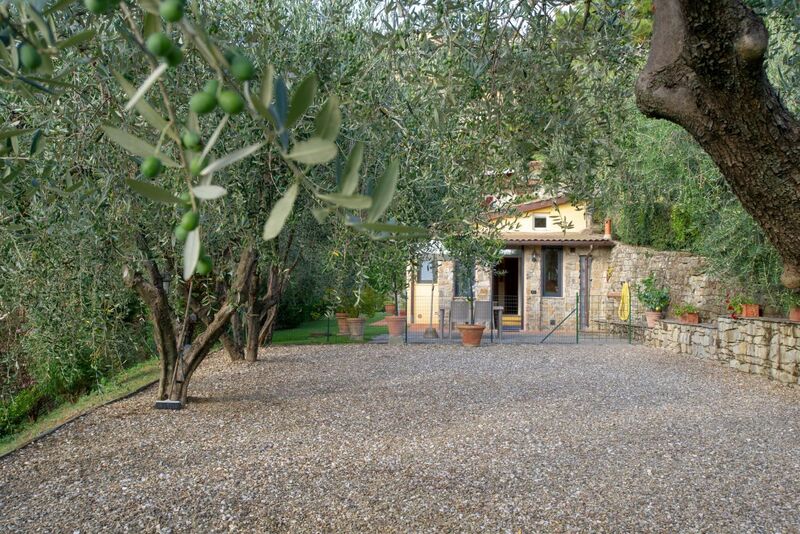 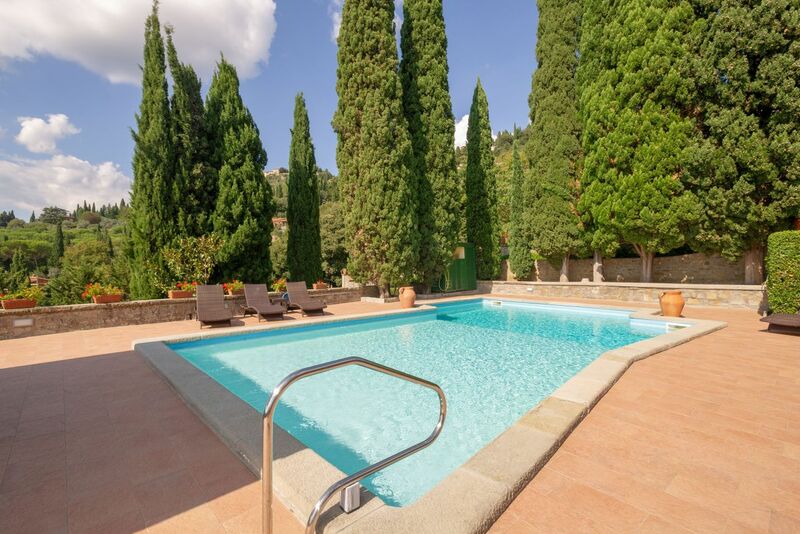 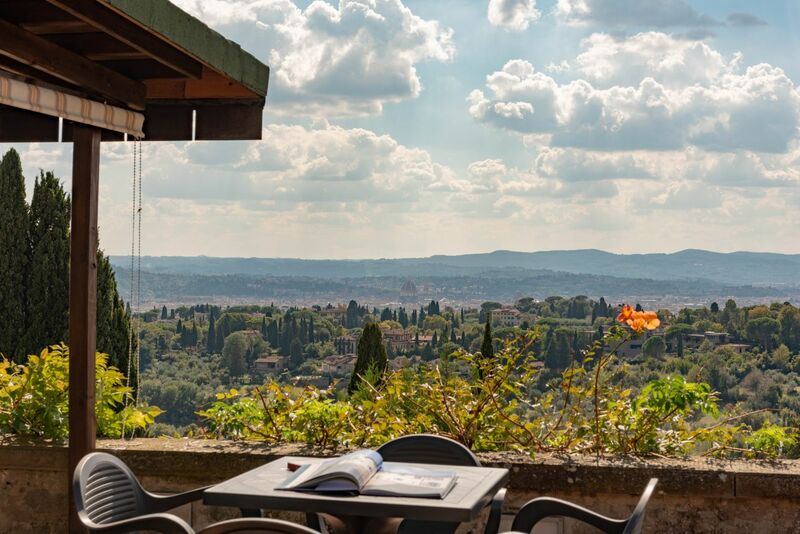 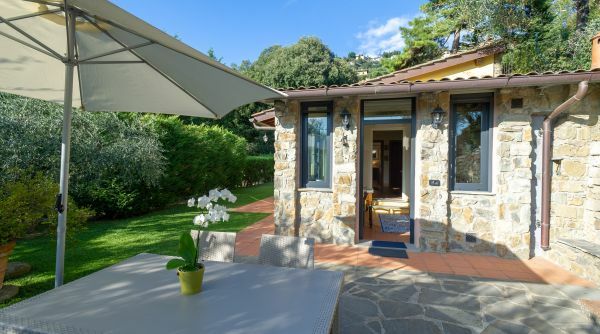 This house is on the beautiful hill of Fiesole overlooking Florence and is near the EUI (European University Institute) in San Domenico (only 700 meters). 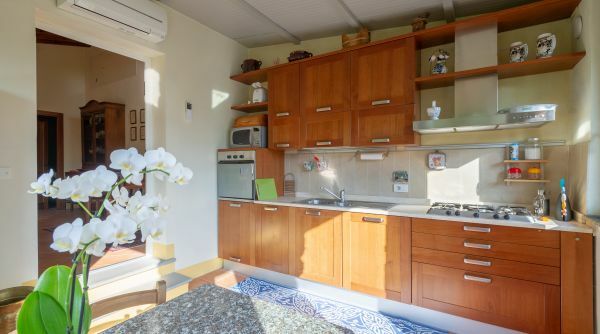 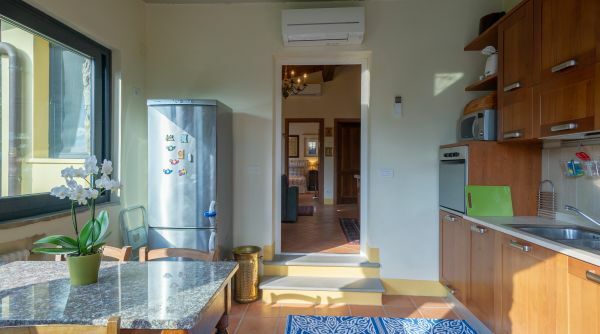 This is a unit independent from the villa property that is permanently inhabited by us owners and attendants. 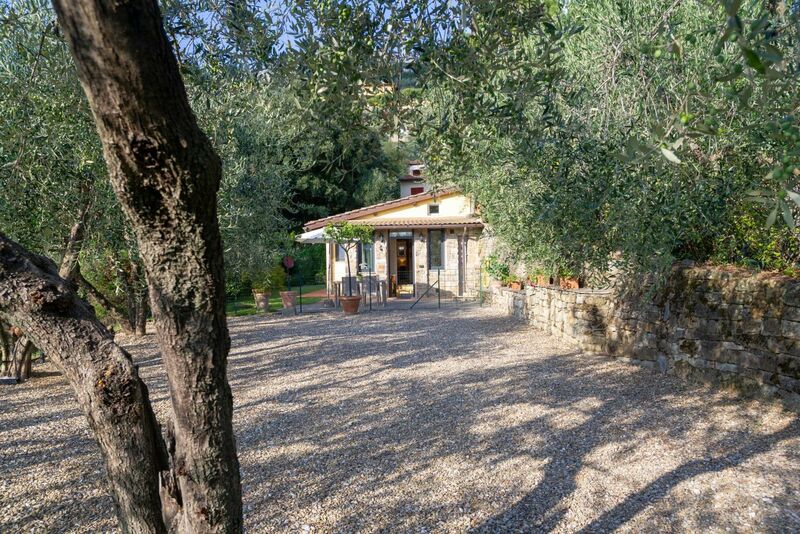 Is immersed in the green surrounded by olive trees, has three outdoor spaces, the surrounding land of about 8000 square meters is closed and therefore is protected from outside intrusion. 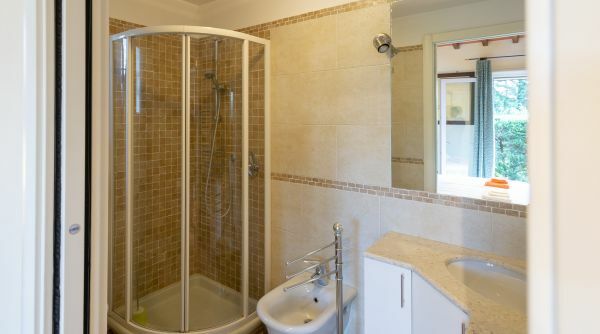 The house of 75 square meters consists of a bedroom with twin beds with bathroom, a living room with a double sofa bed with a bathroom attached, from a large and livable kitchen (14 sq.m) complete with all accessories and tools, from an area on the back of the house used as a laundry room with automatic washing machine. 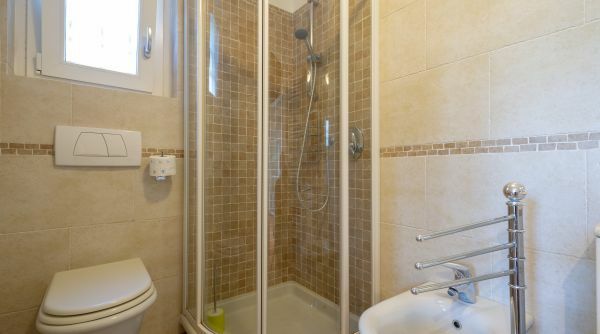 The house has all modern technologies. 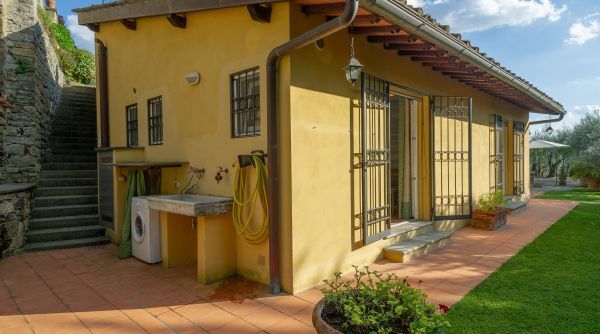 Electricity, Water, heating, air conditioned, and all other services describeds are included in the monthly rent (1450,00 €). 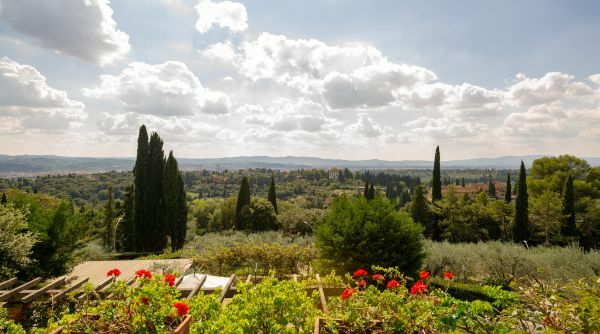 The EUI (European University Institute) is only 700 meters and takes about 8 minutes walking. 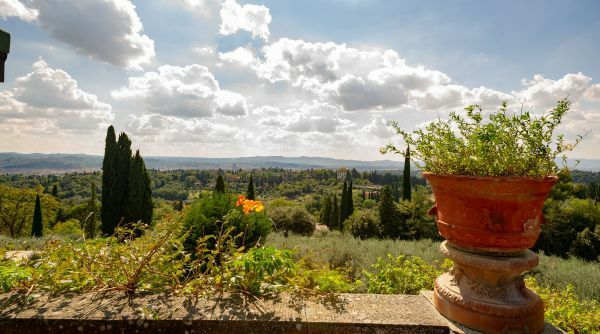 The center of Florence (Piazza del Duomo) is just 5,5 Km from home (3-4 miles) and the road is served by city bus. 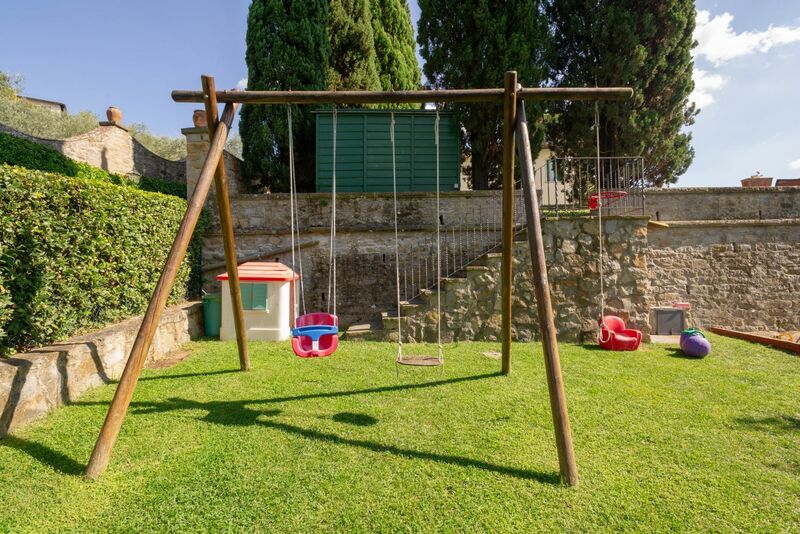 Bus-stop is in front of gate. 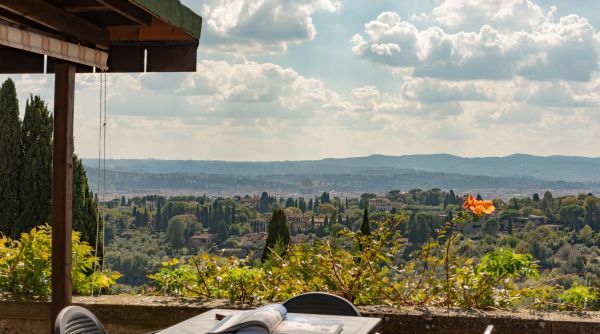 In 20 minutes by bus you arrive downtown in Florence. 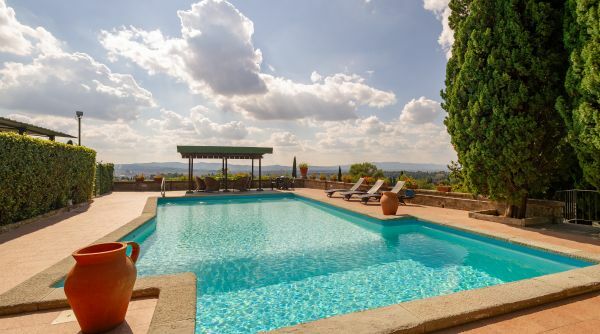 The use of the pool usually starts May first. 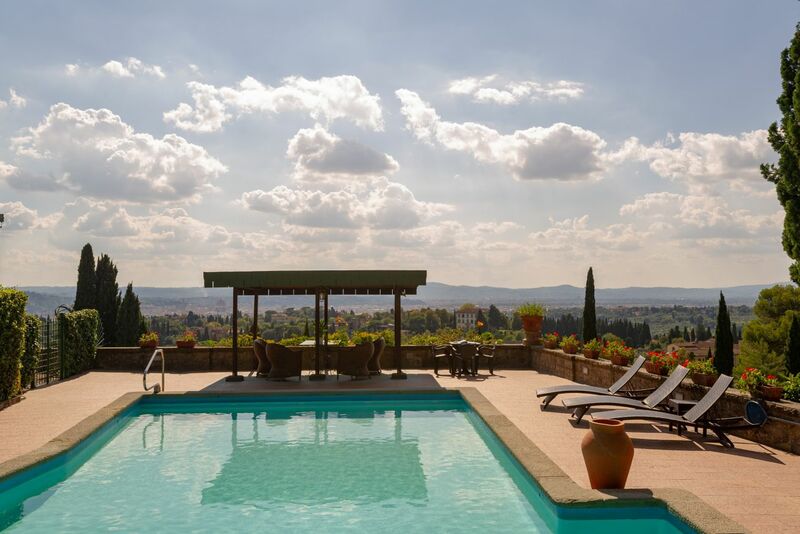 Normally the pool is open until the end of September but, if the weather conditions allow it, it can also be used after this date. 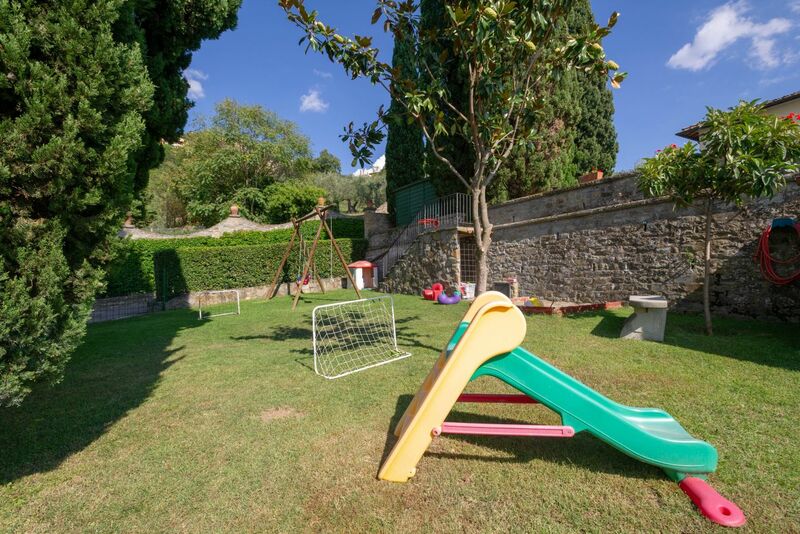 There is also a playground with various game tools and a sand-filled pool for younger children to play. 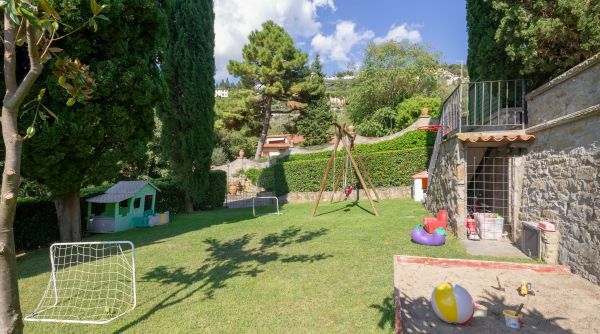 Also the swimming pool area and the playground area is completely closed and protected. 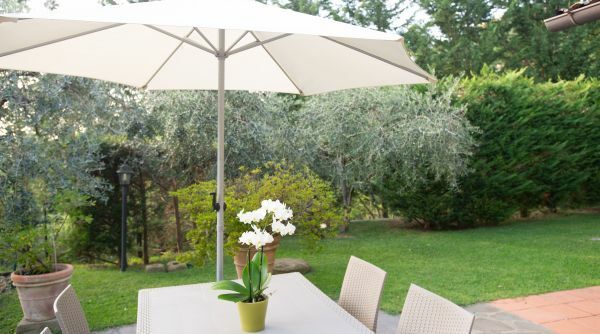 The gardener provides for garden maintenance and the disposal of all waste and garbage. 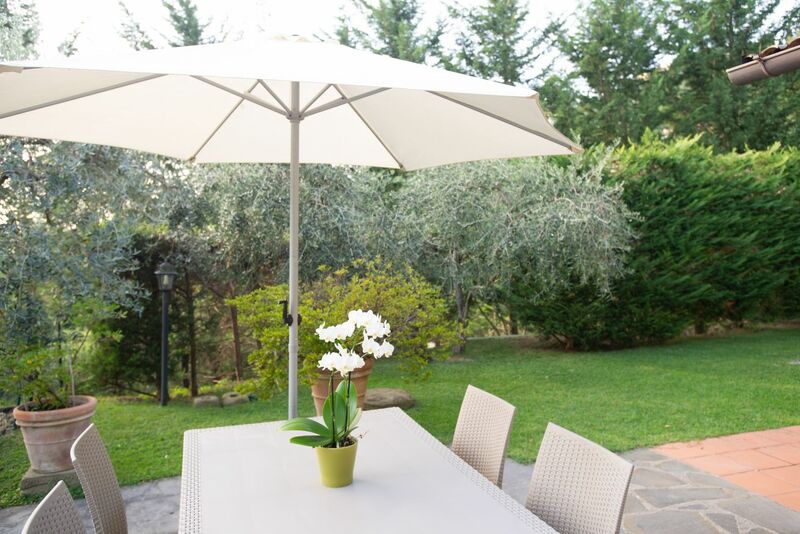 Weekly our staff provides the complete cleaning of the house and the complete change of all linen.